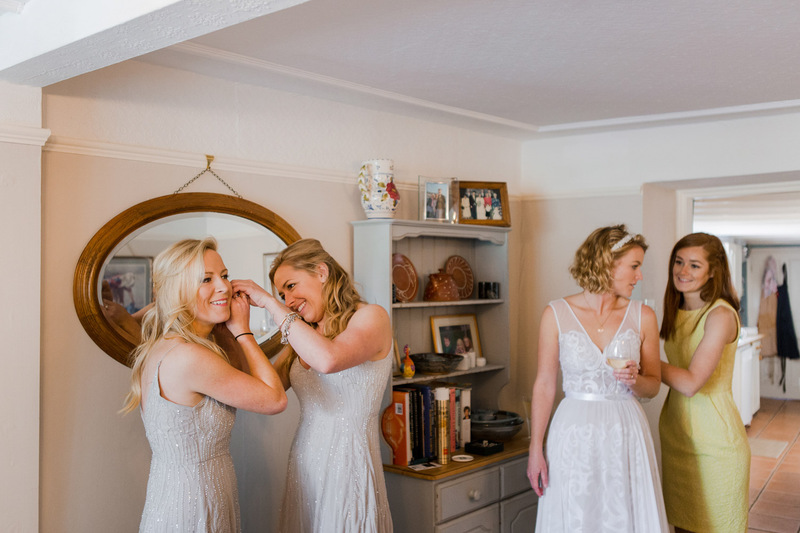 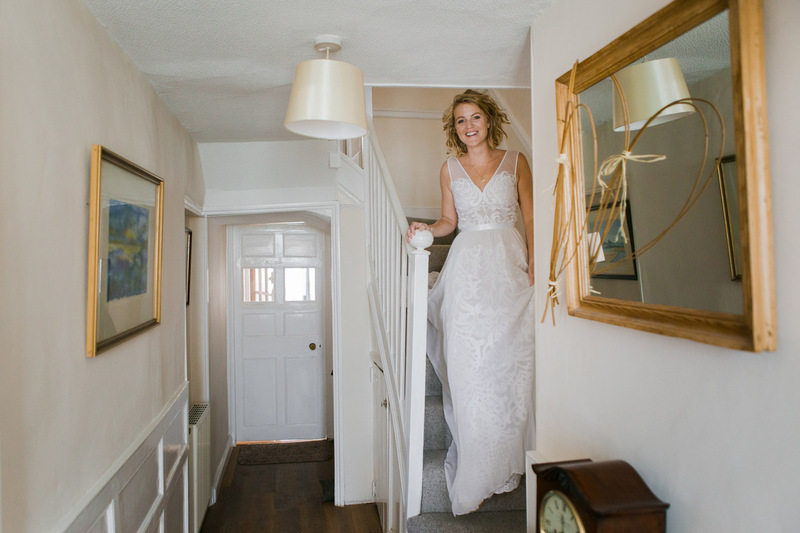 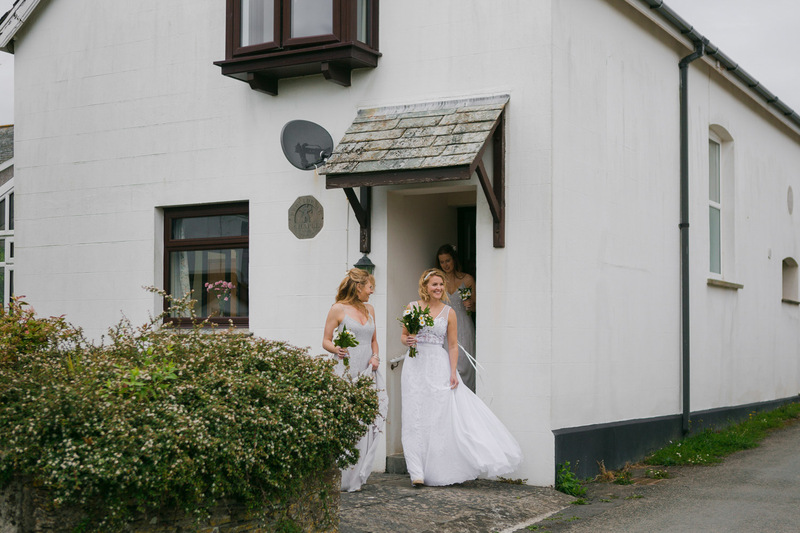 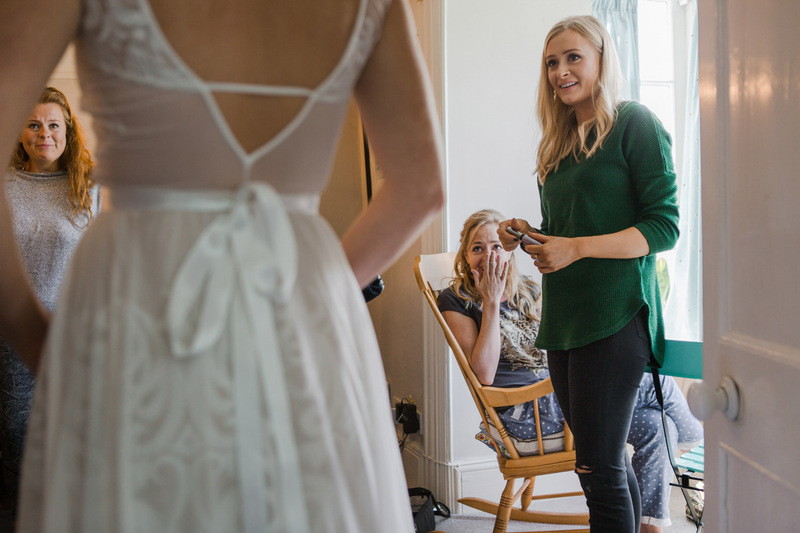 Our first sight of Katie was when she appeared at the bottom of the stairs wearing a Grace Loves Lace wedding dress! 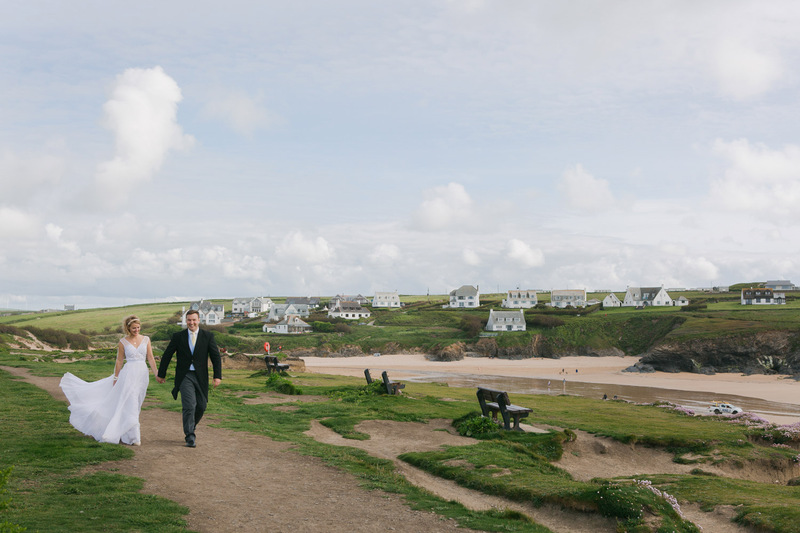 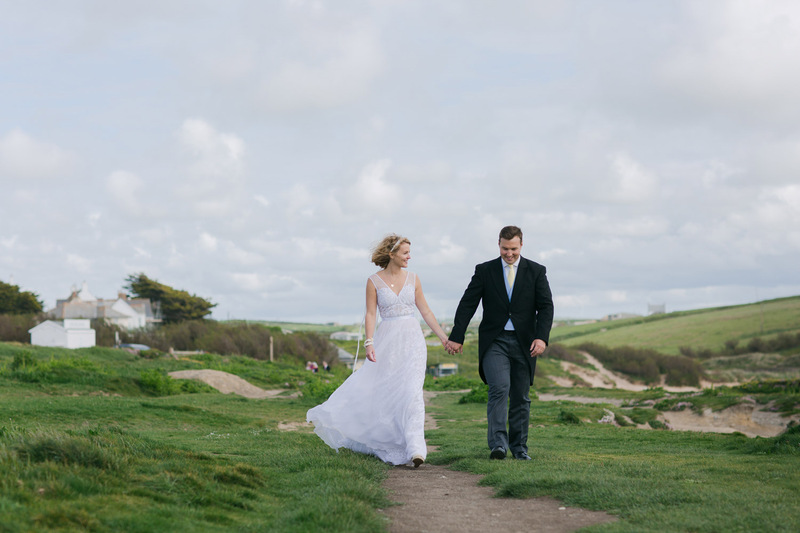 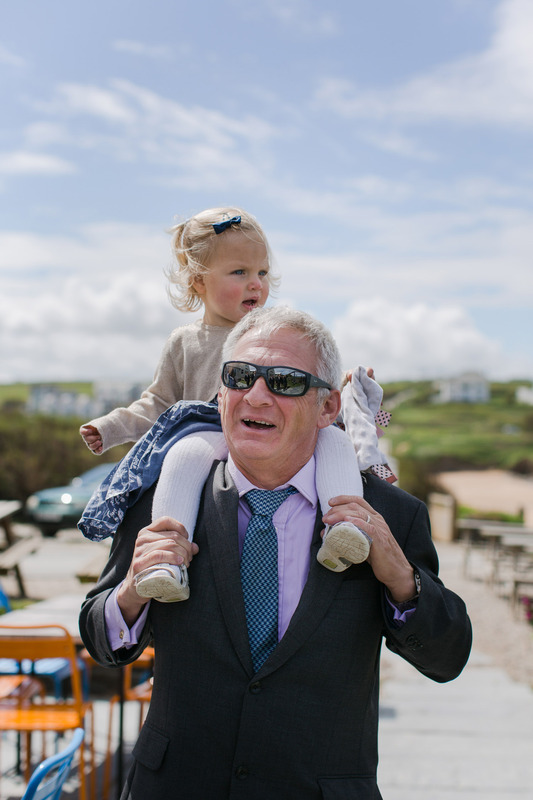 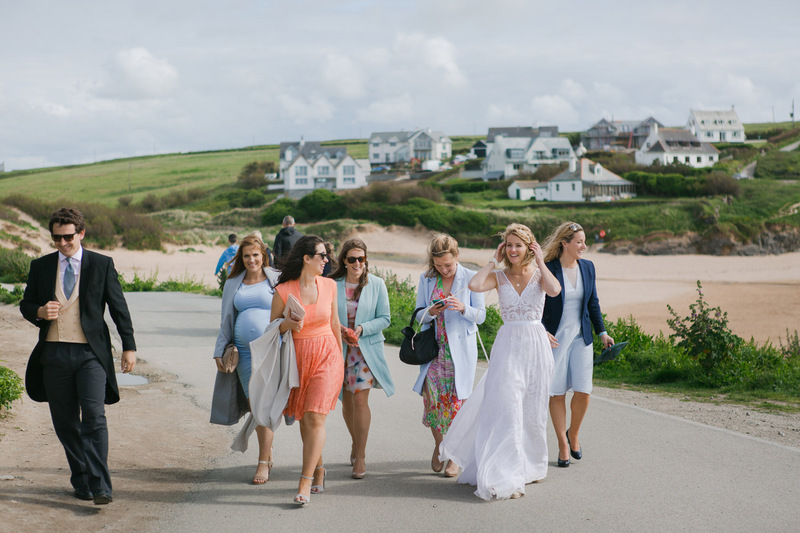 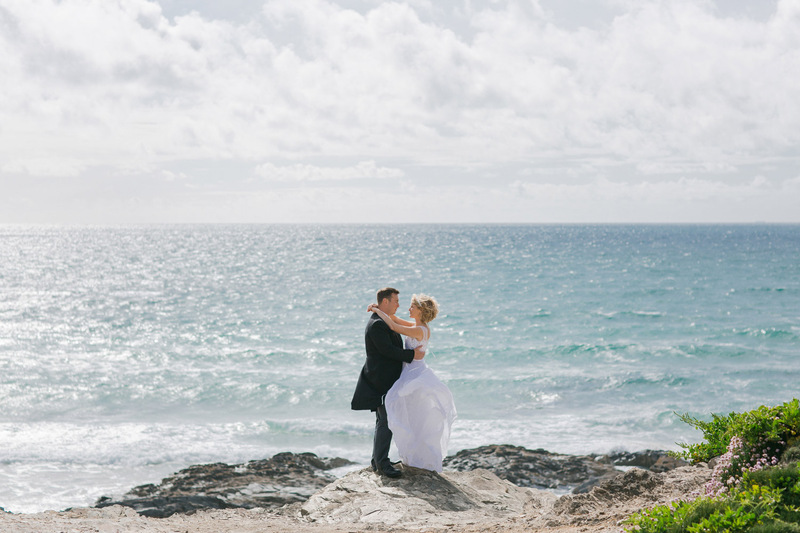 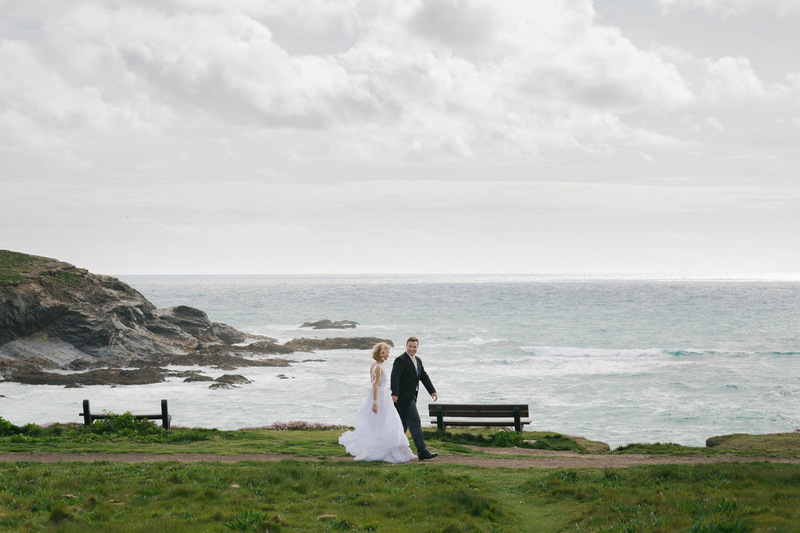 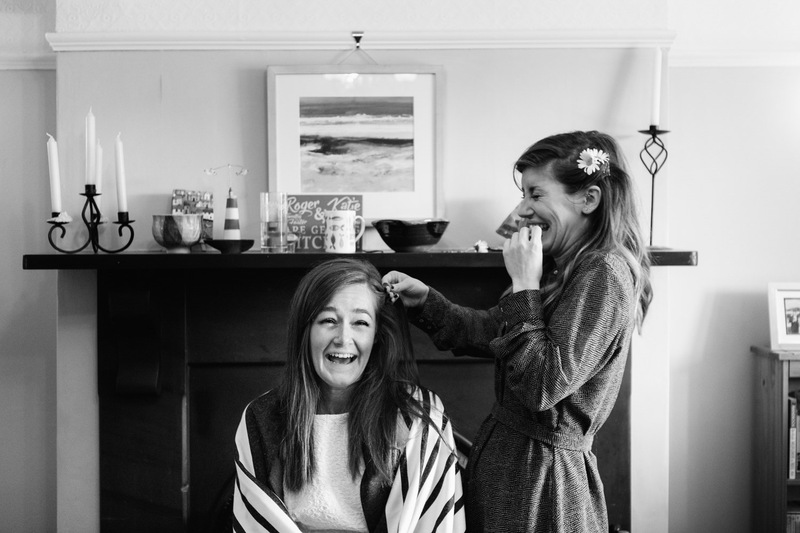 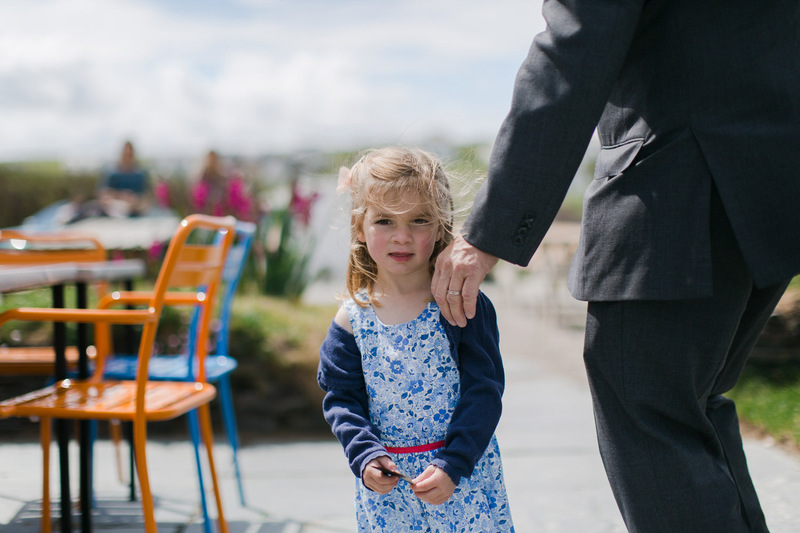 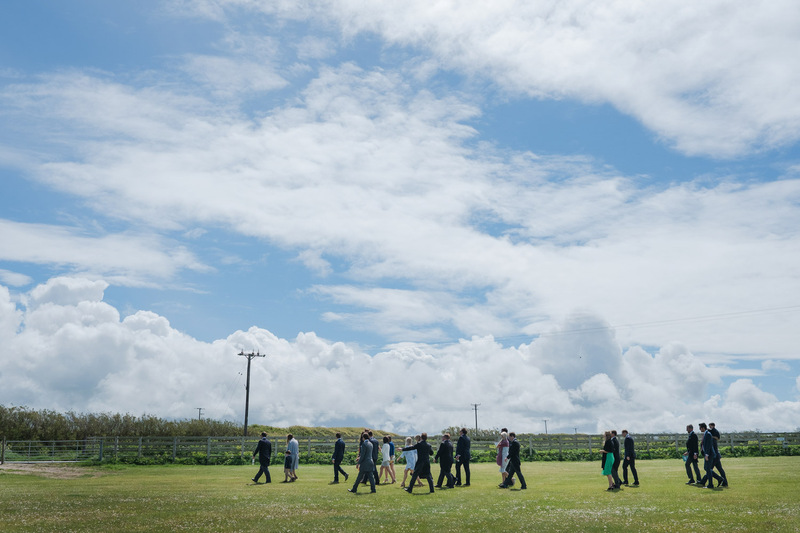 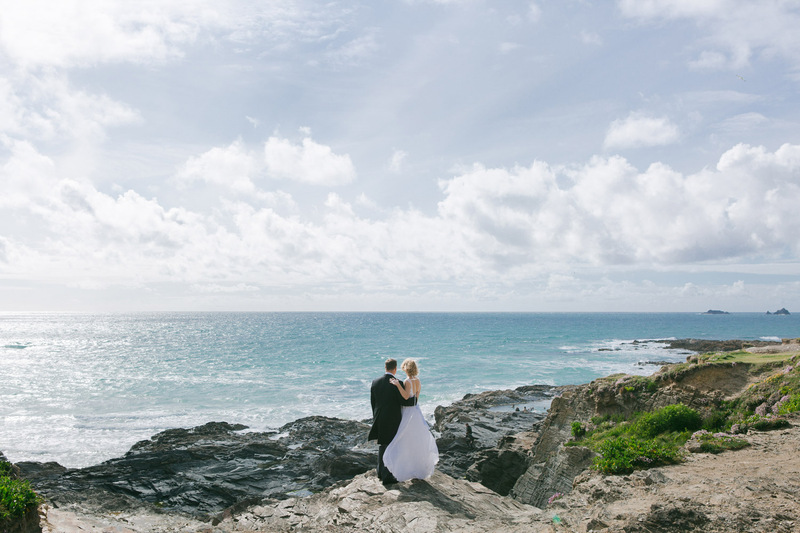 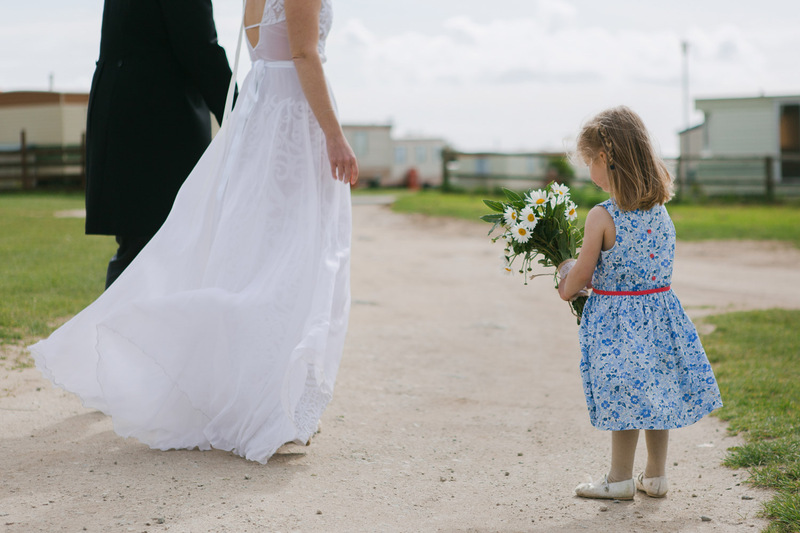 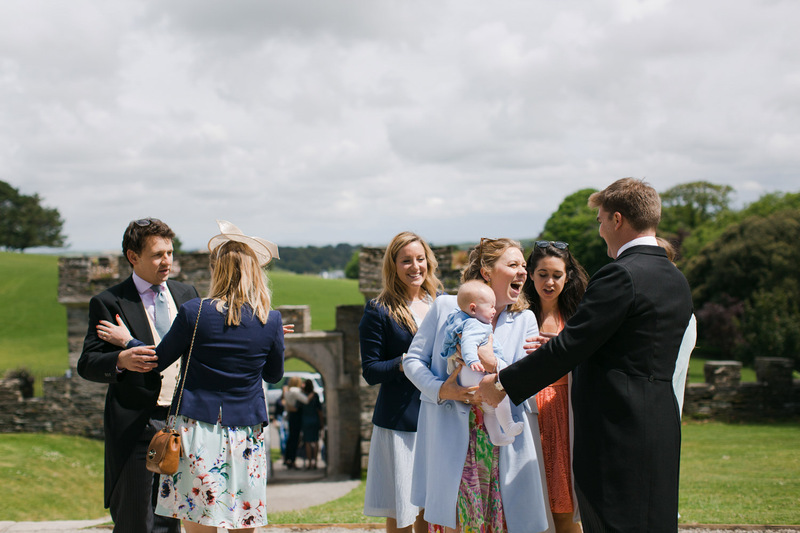 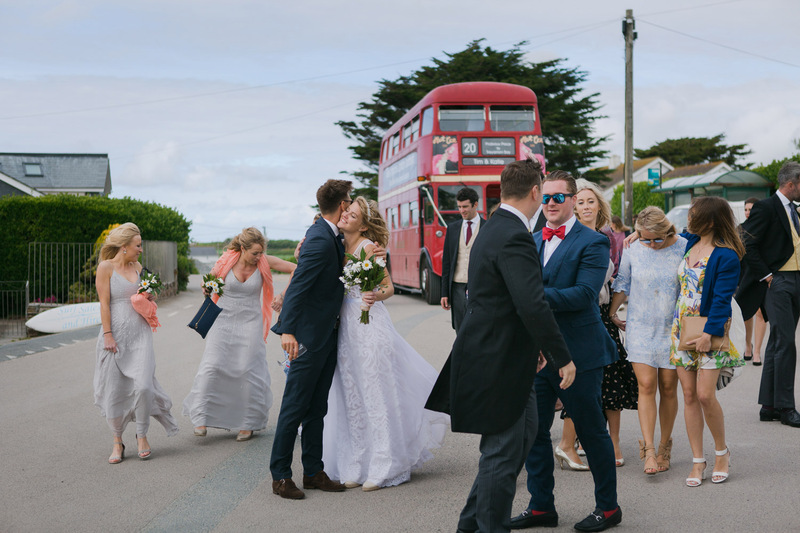 Katie and Tim’s day was a fun-packed seaside wedding in Cornwall with loved ones travelling from all over the world. 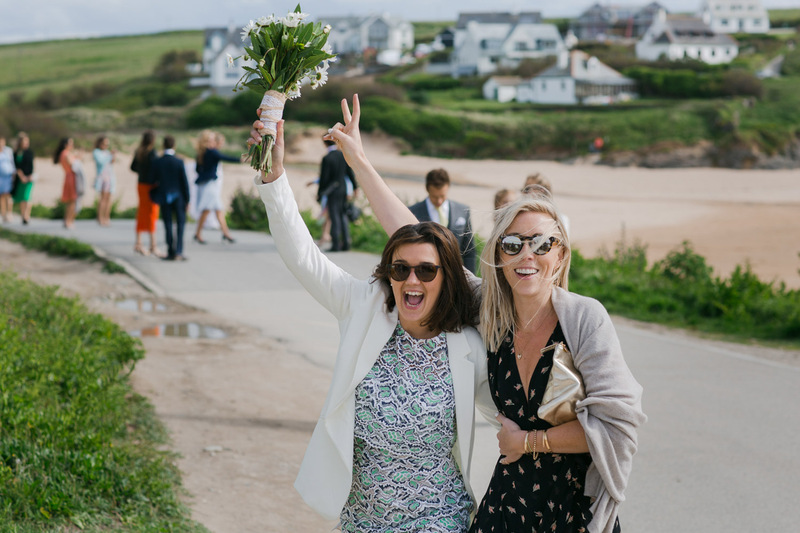 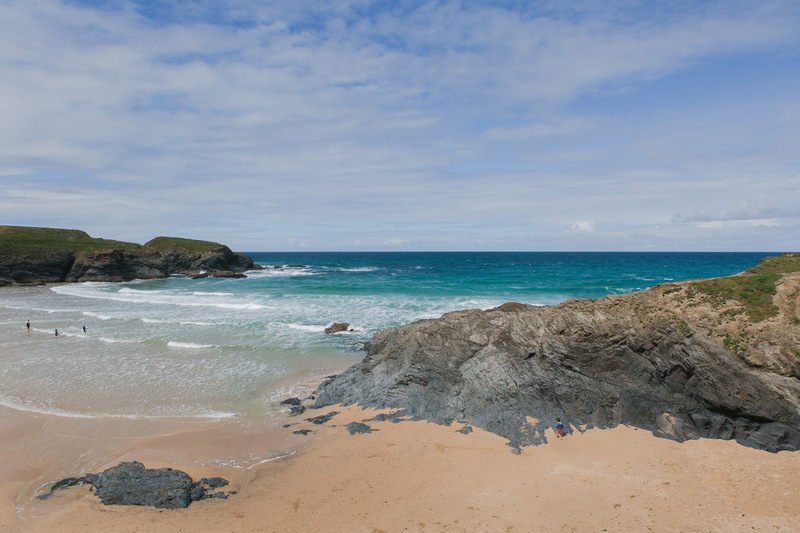 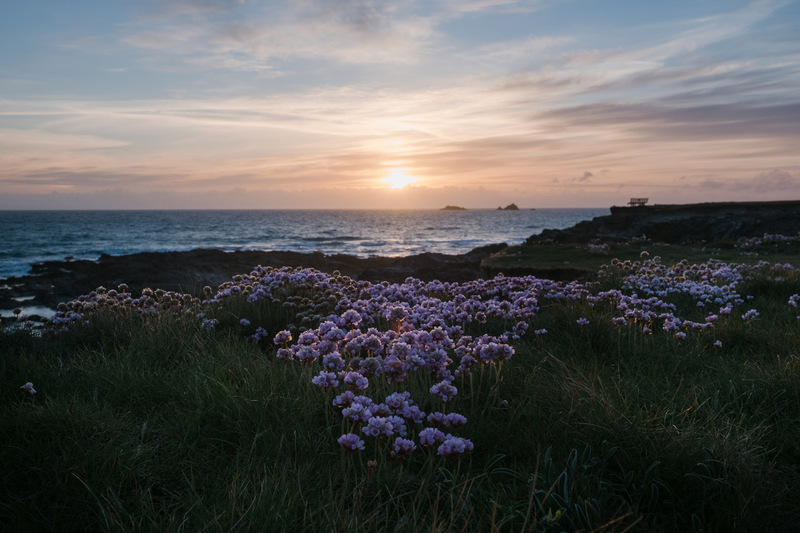 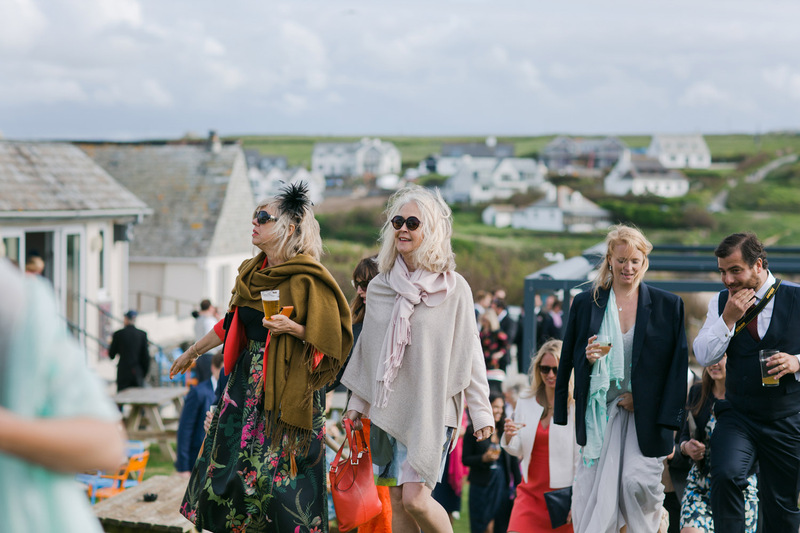 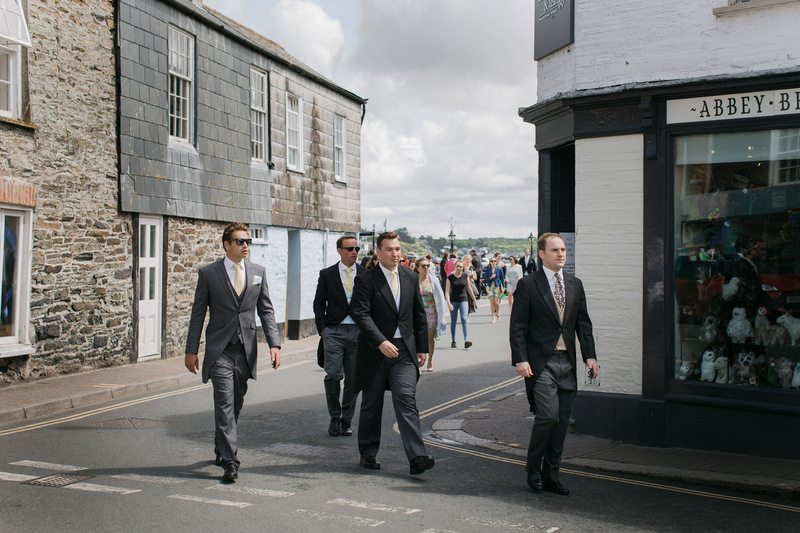 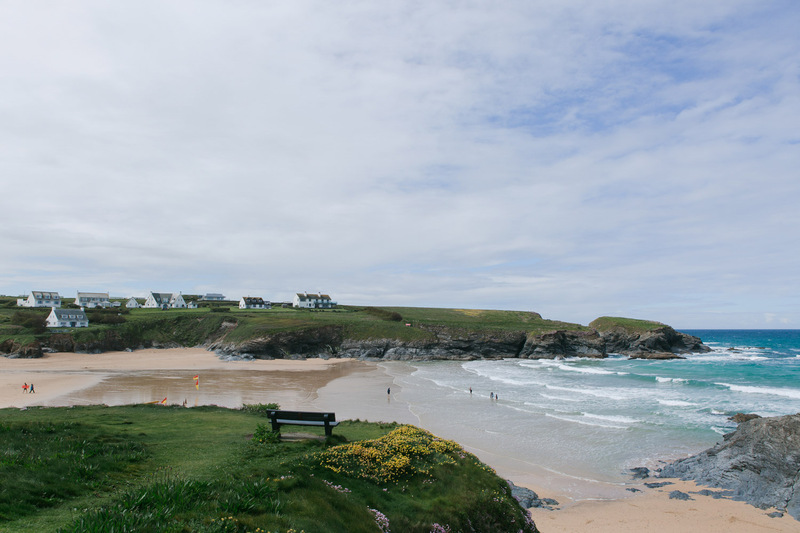 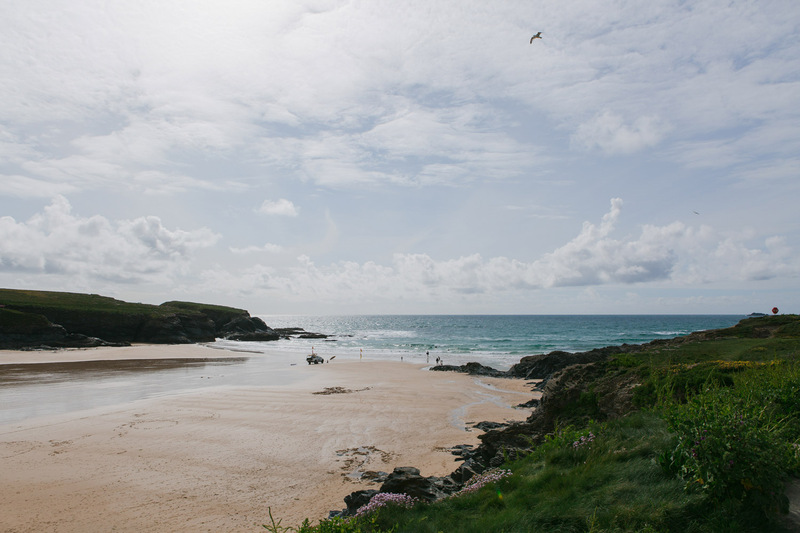 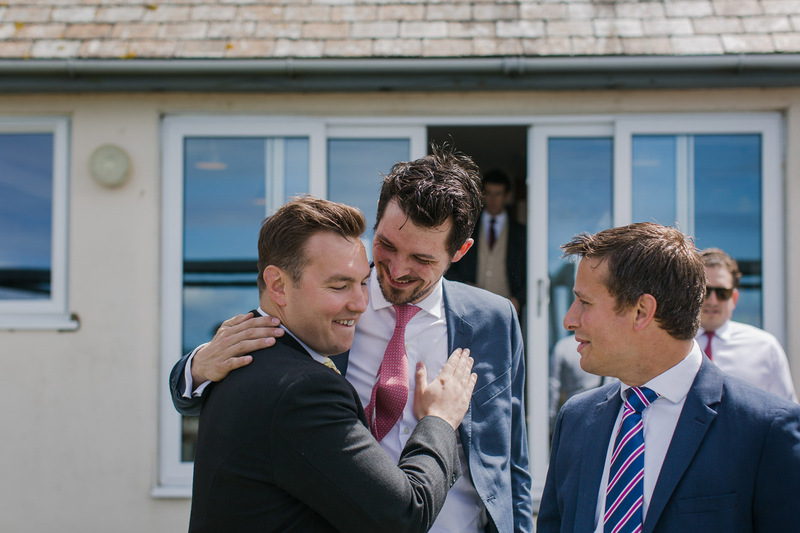 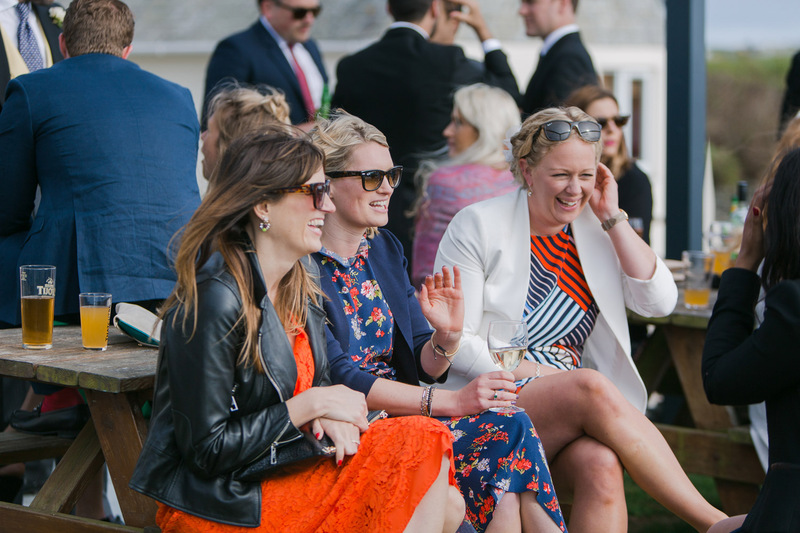 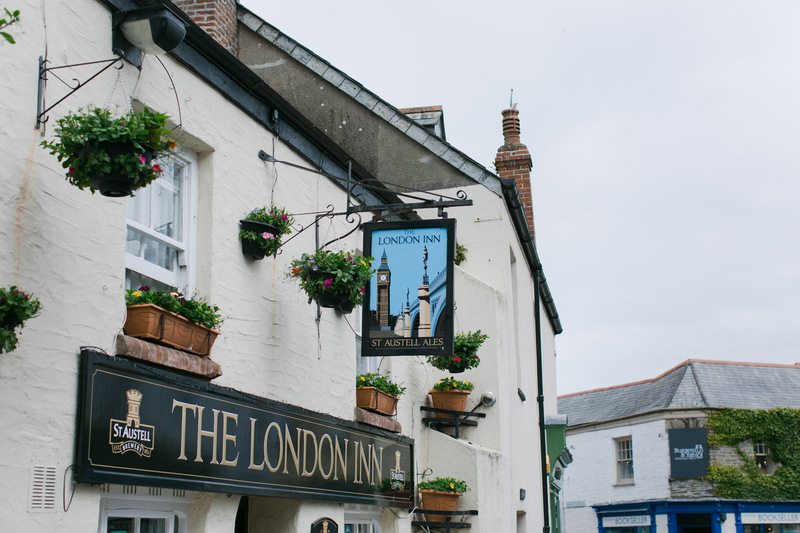 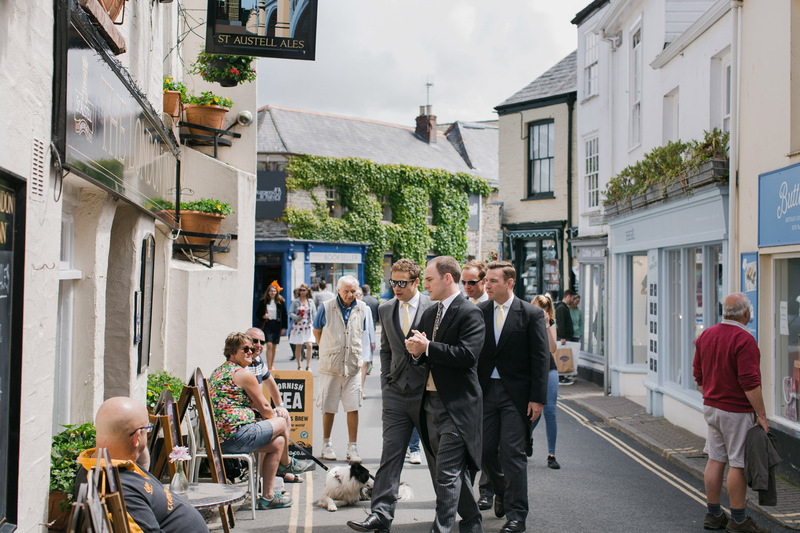 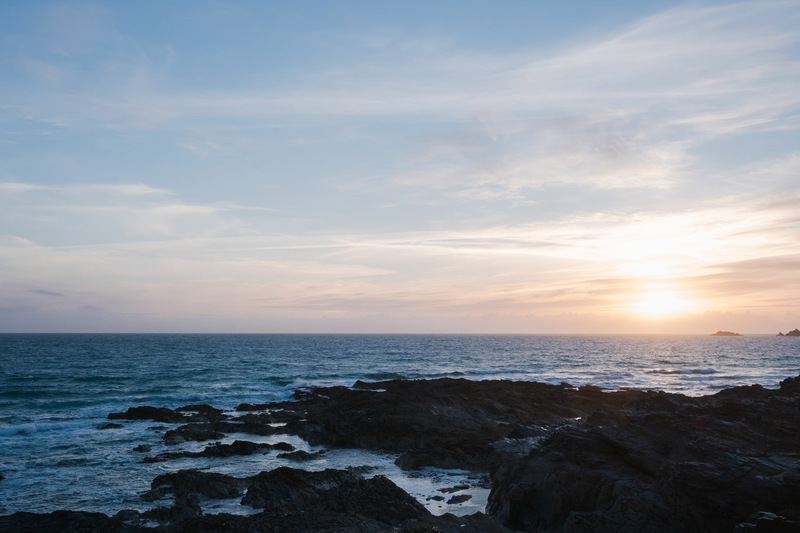 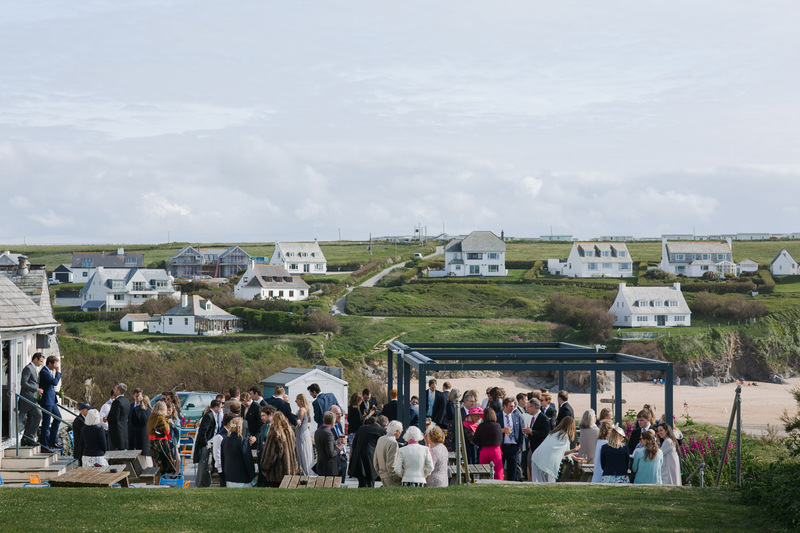 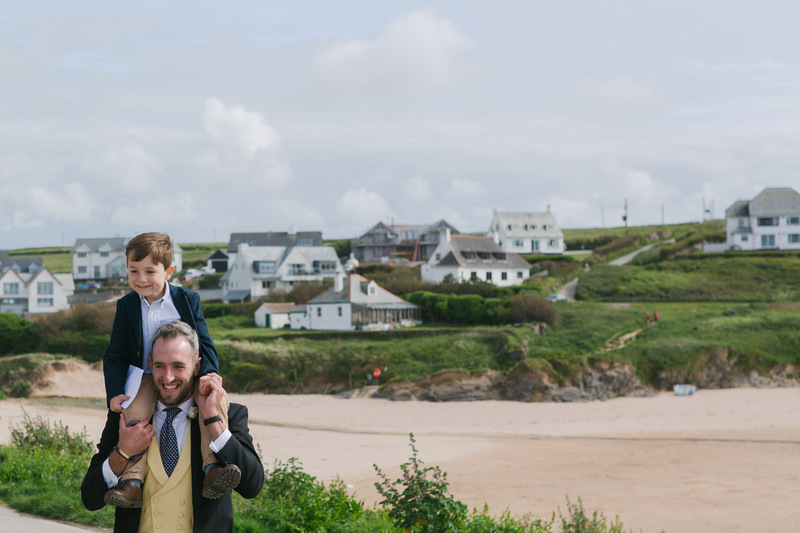 Thousands of miles and hours of travelling, all converging on the coastal town of Padstow for an unforgettable seaside wedding in Cornwall. 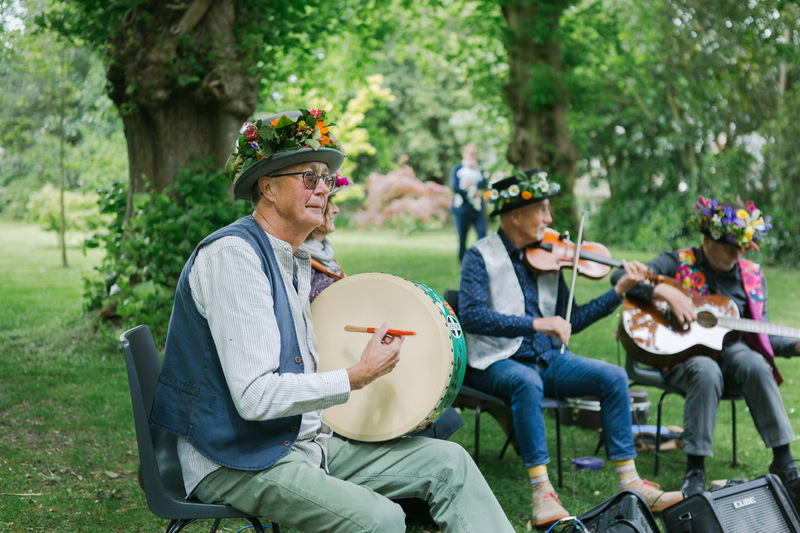 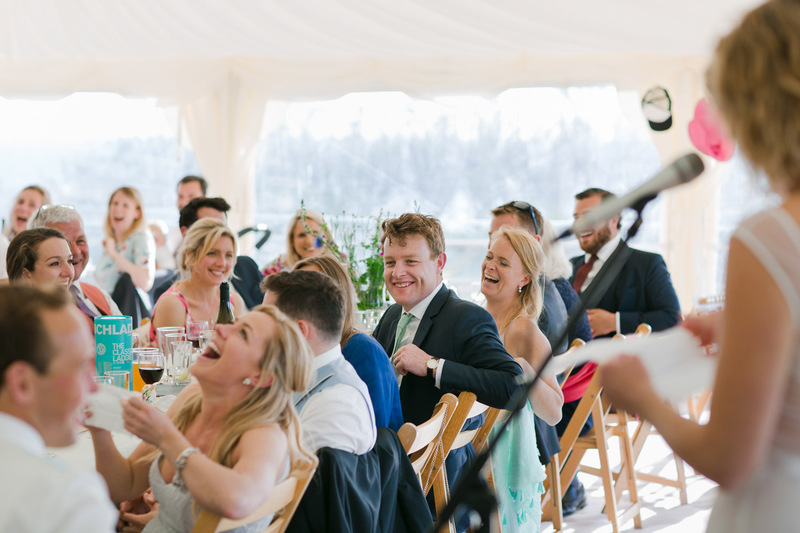 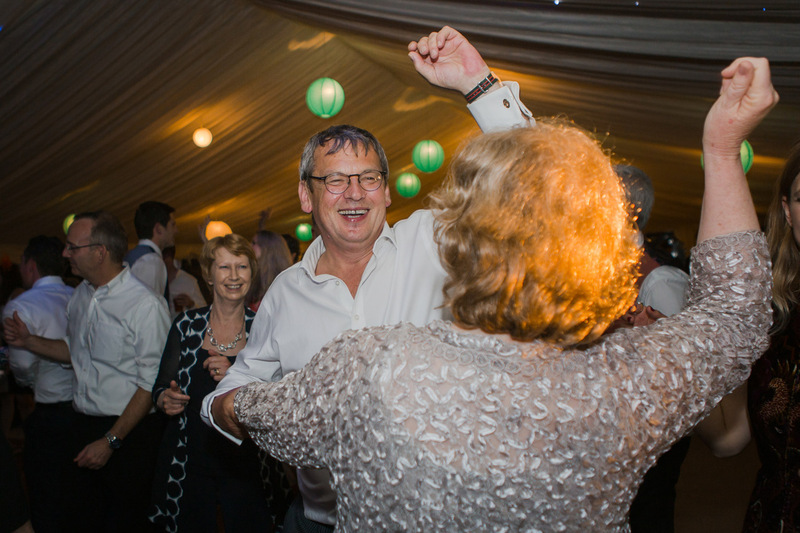 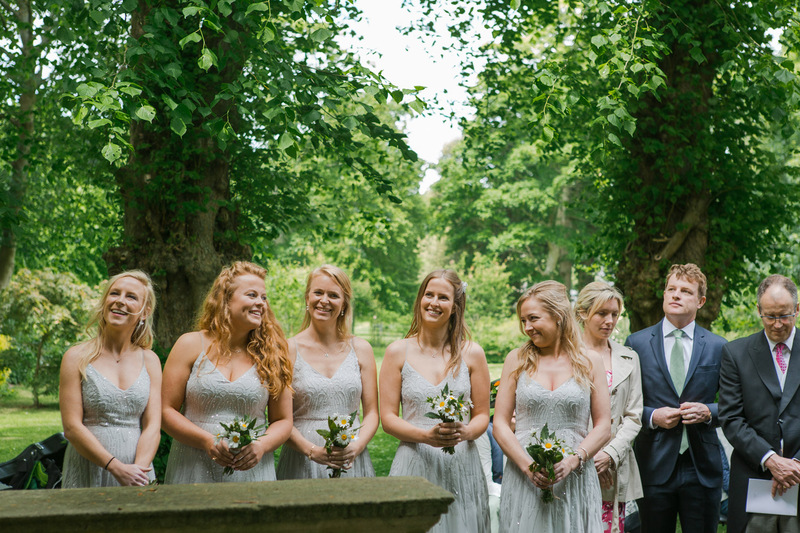 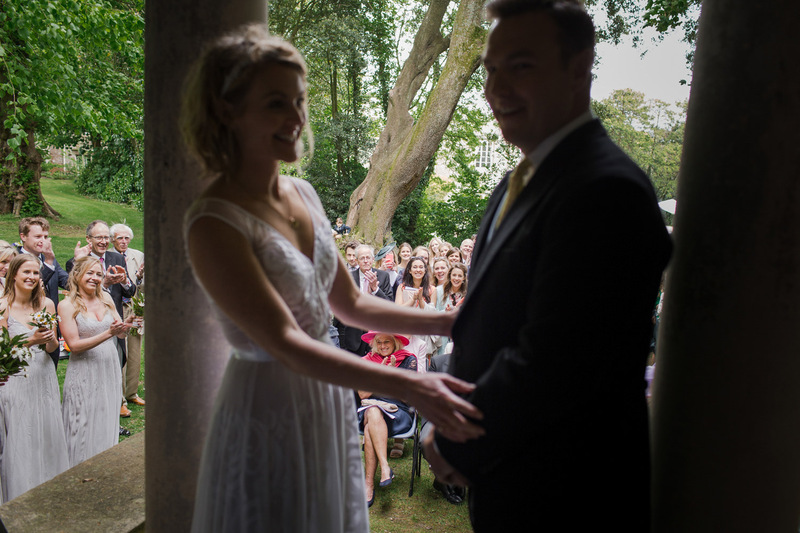 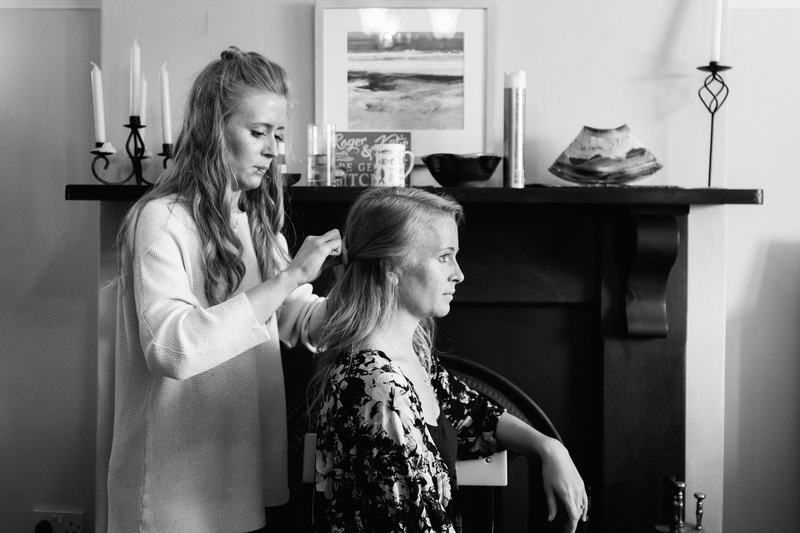 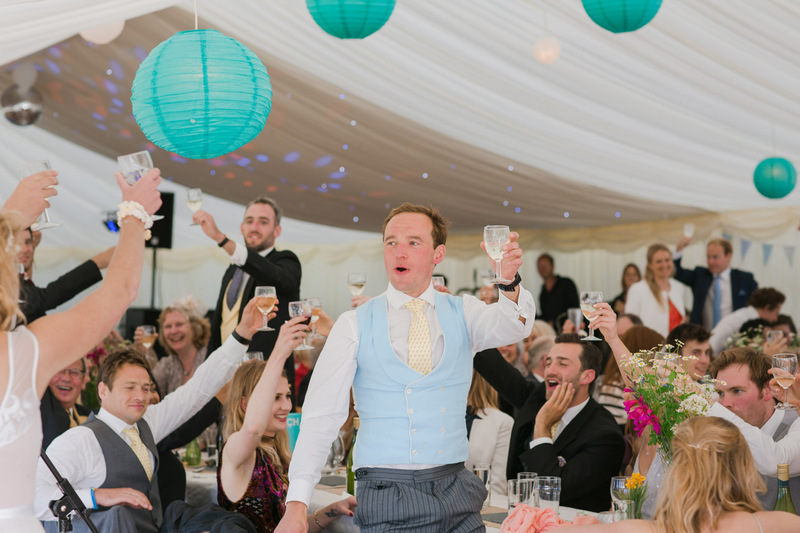 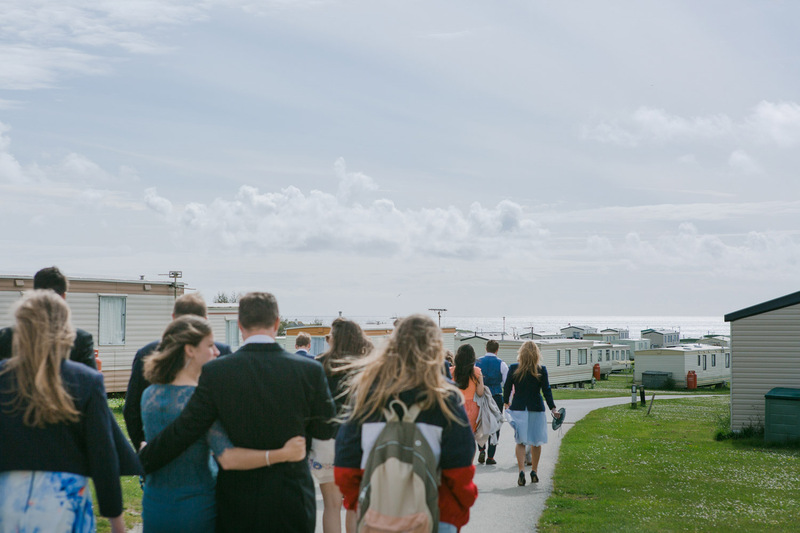 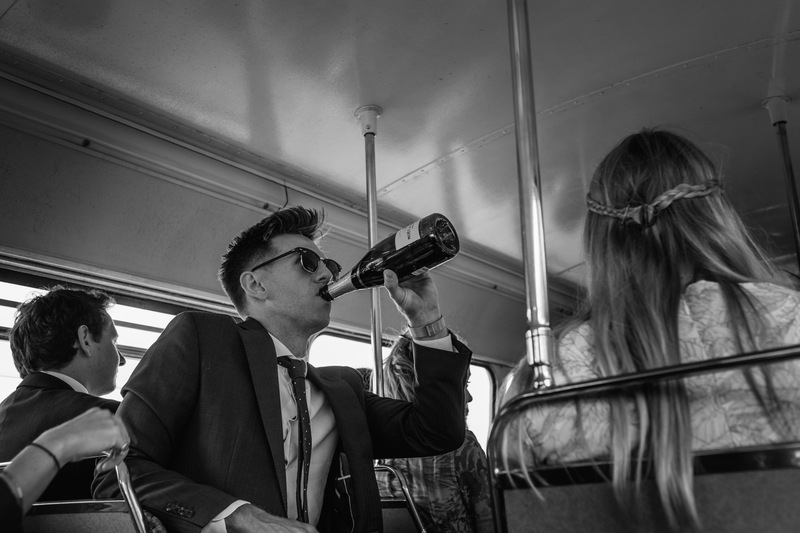 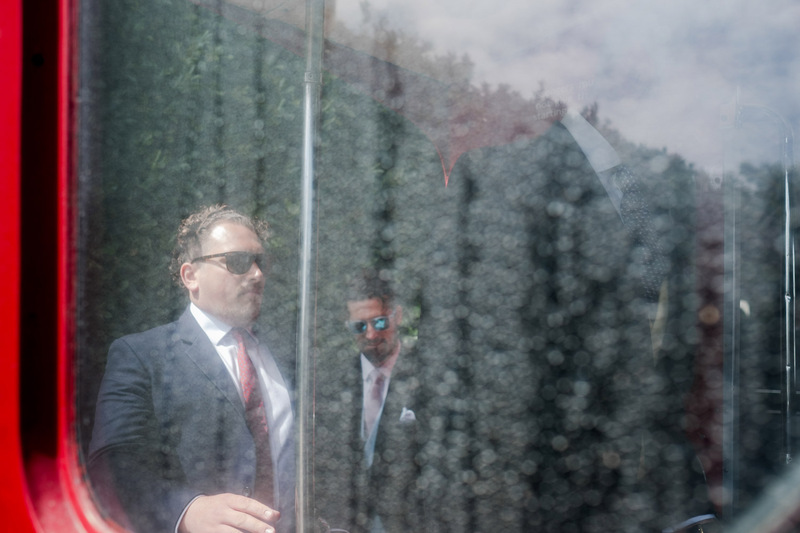 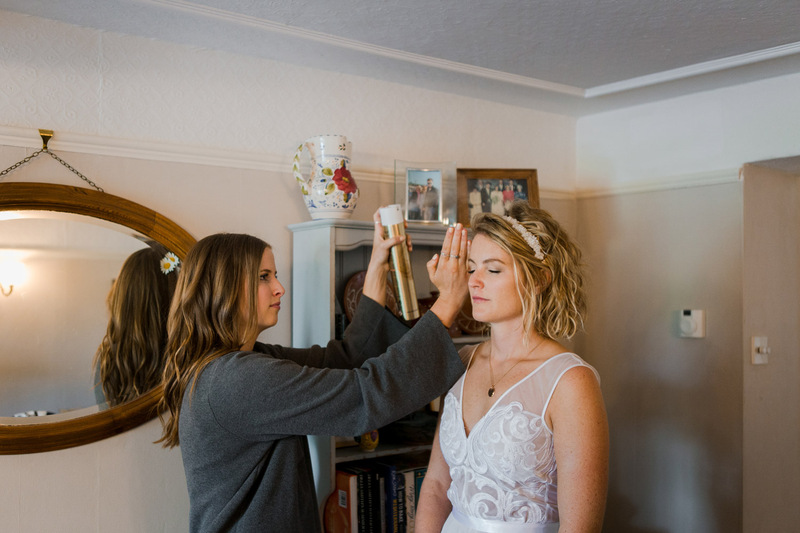 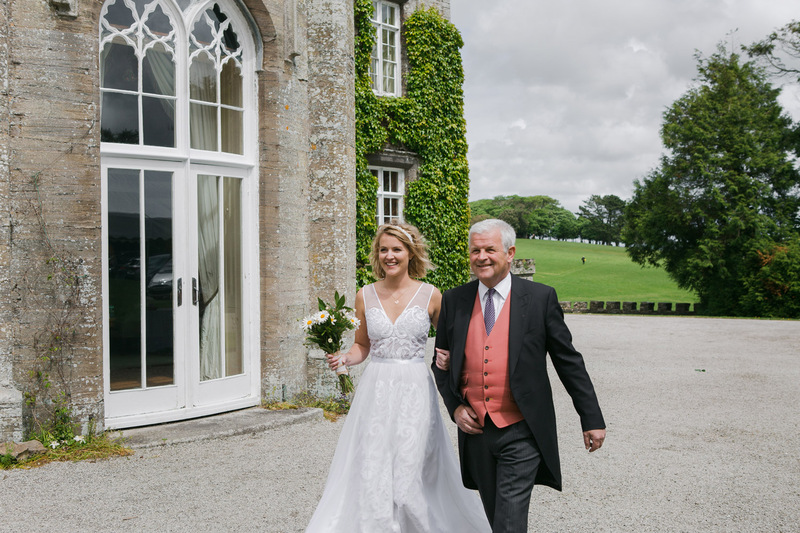 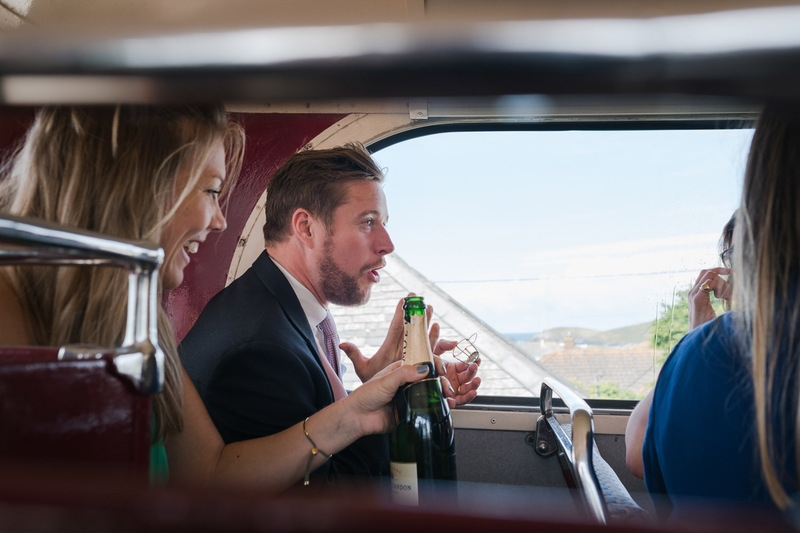 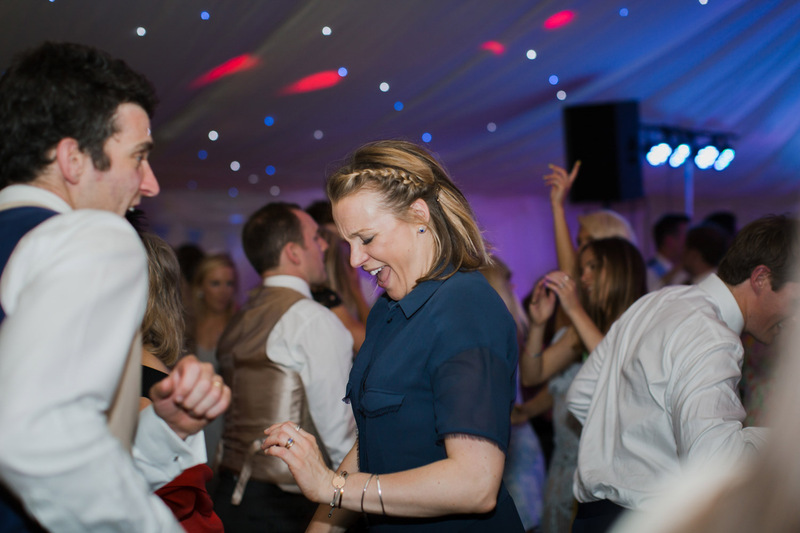 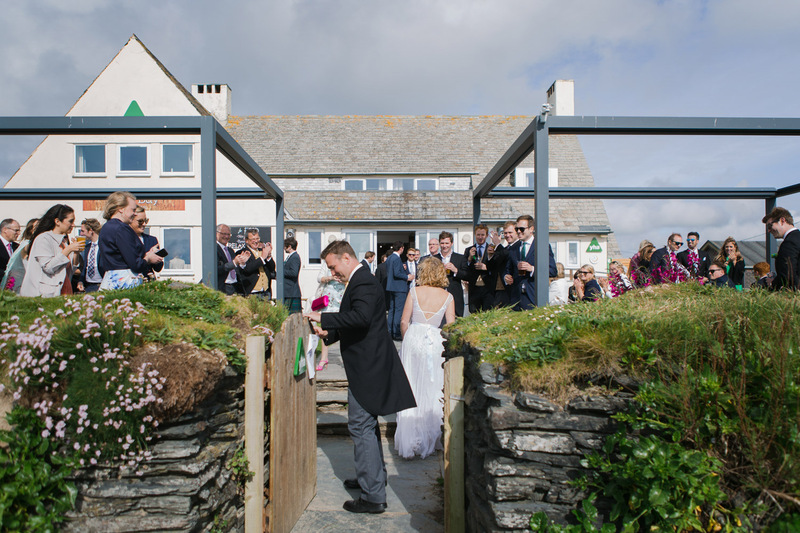 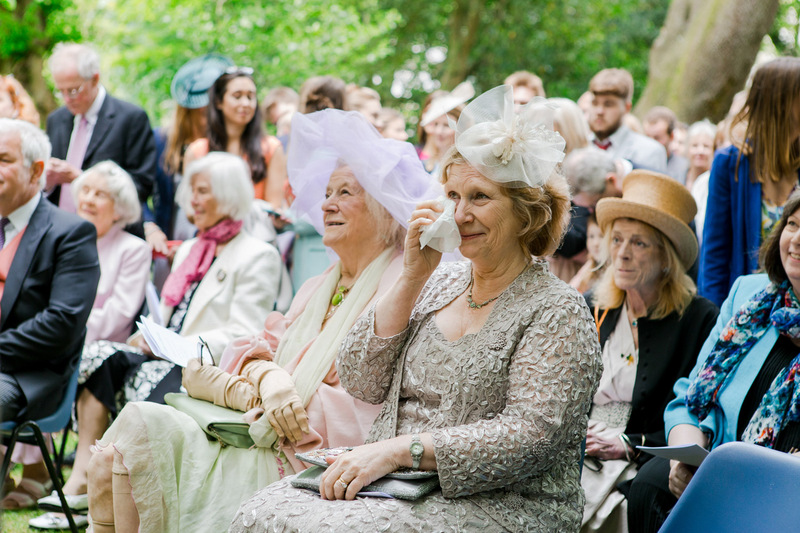 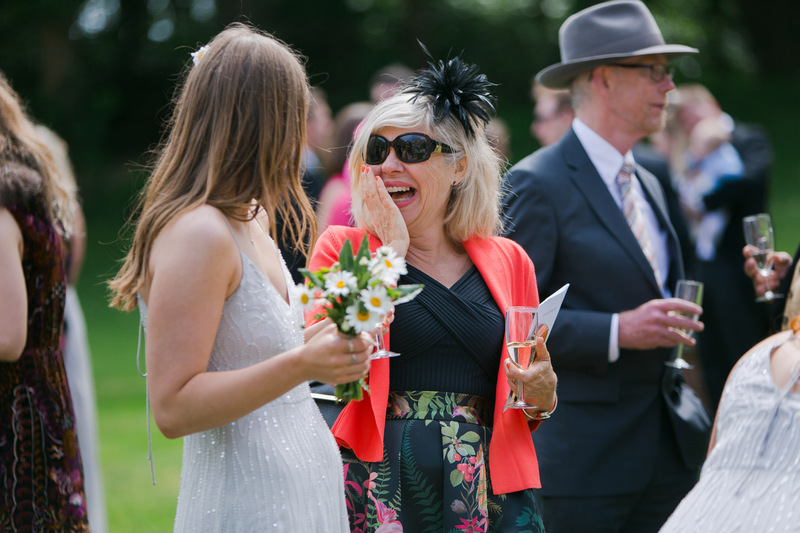 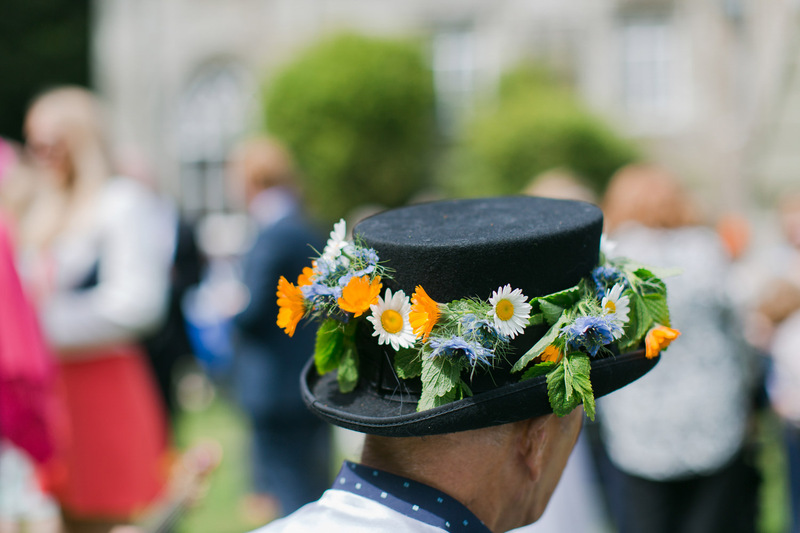 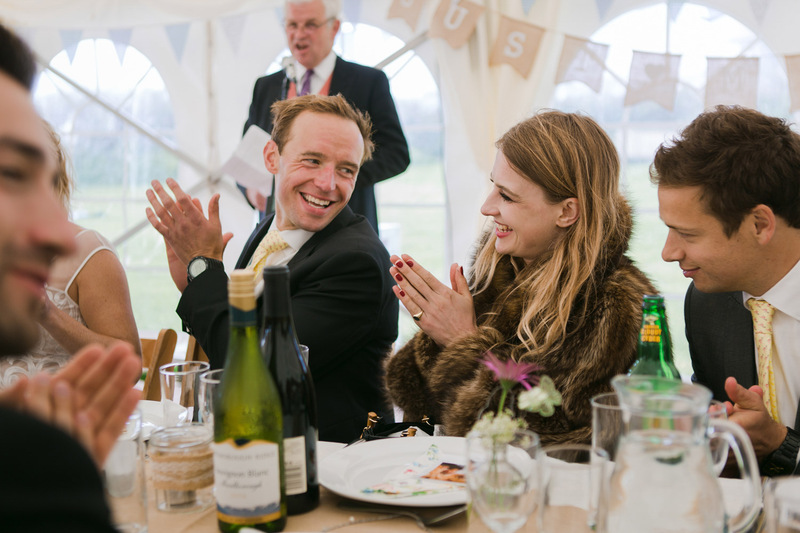 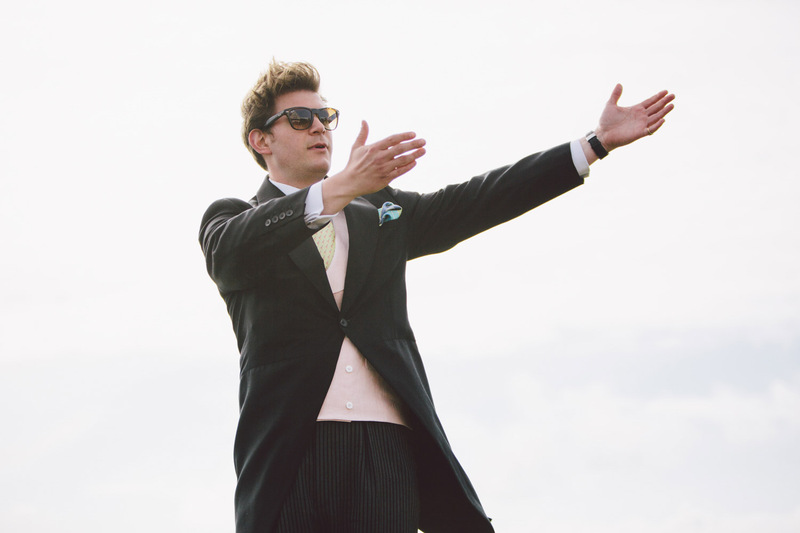 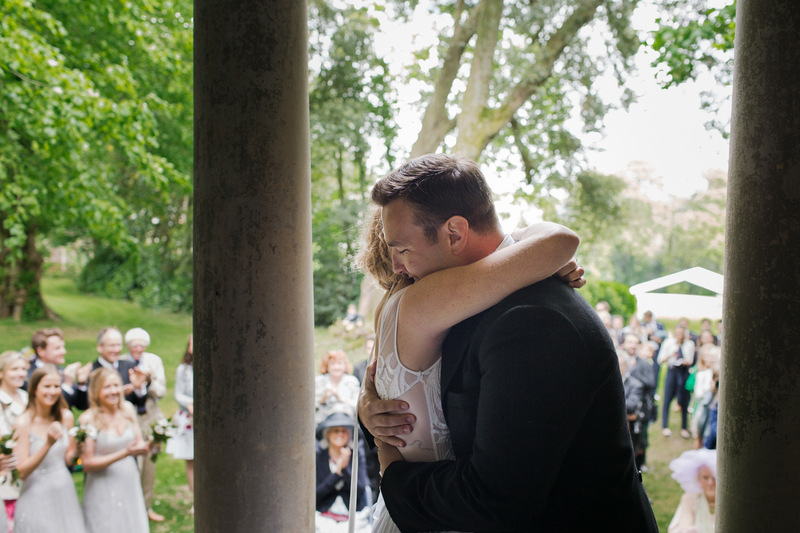 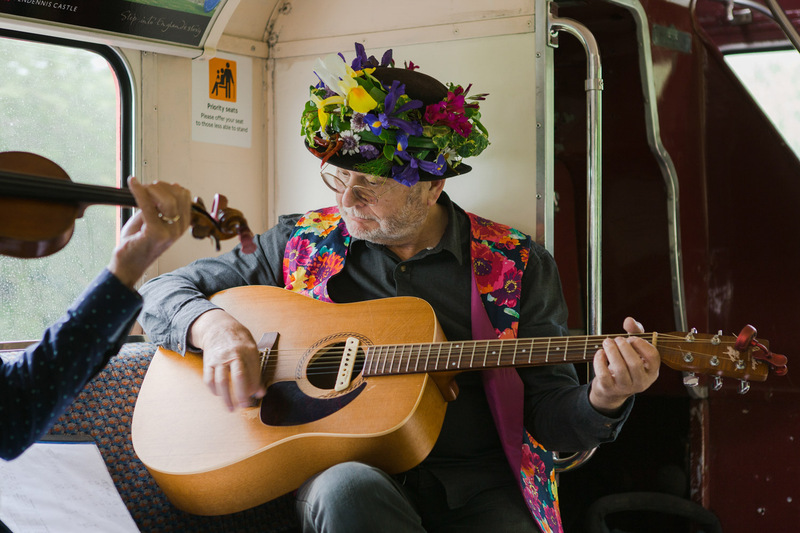 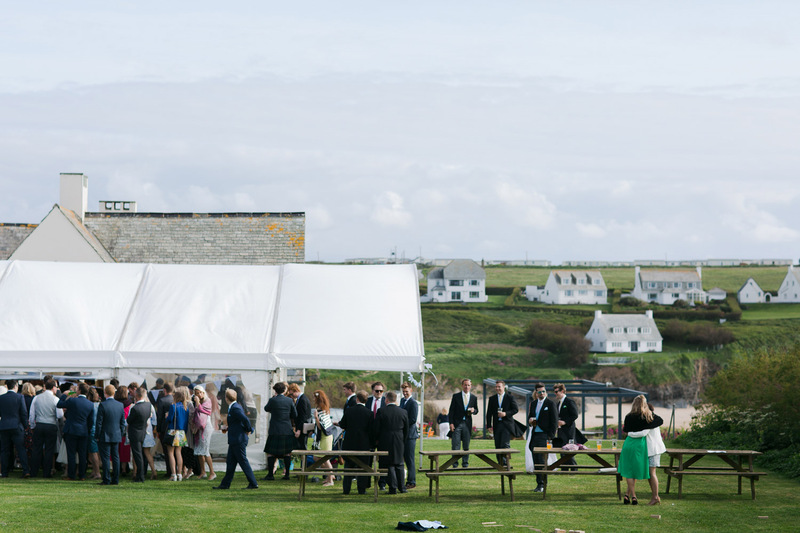 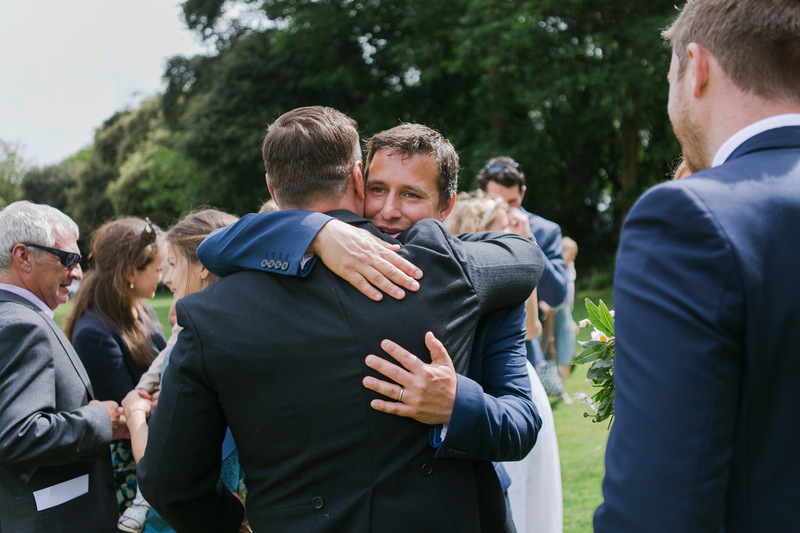 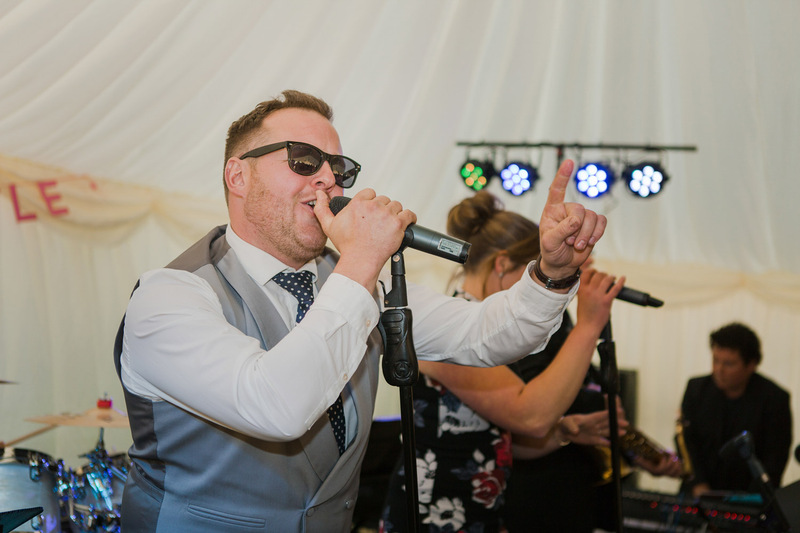 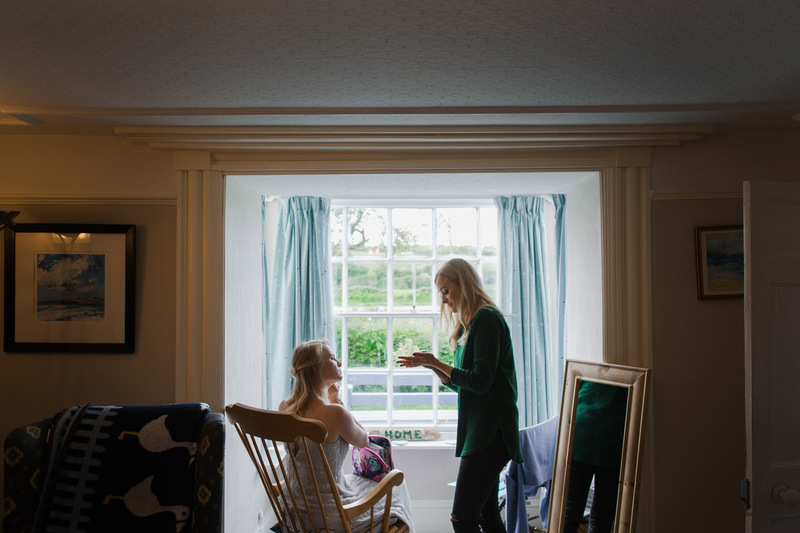 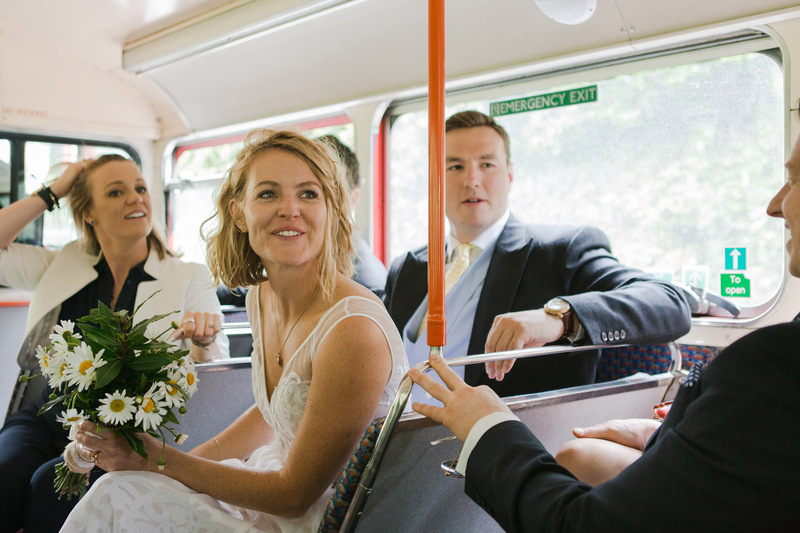 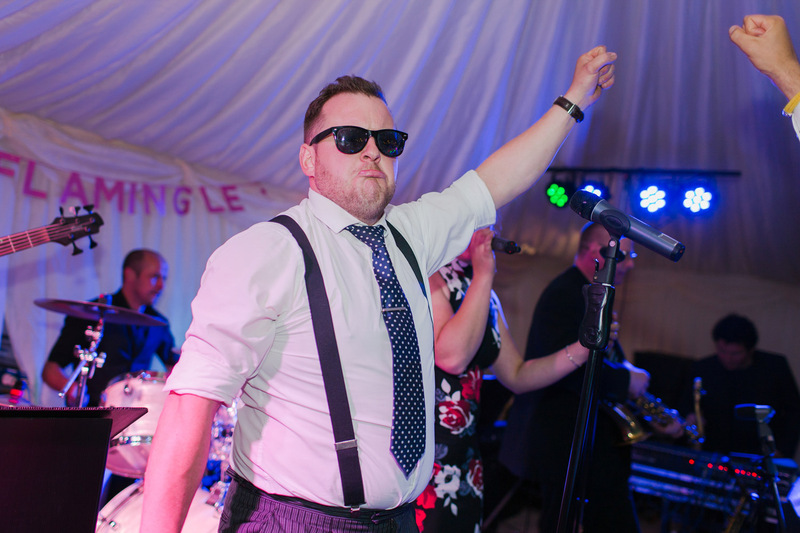 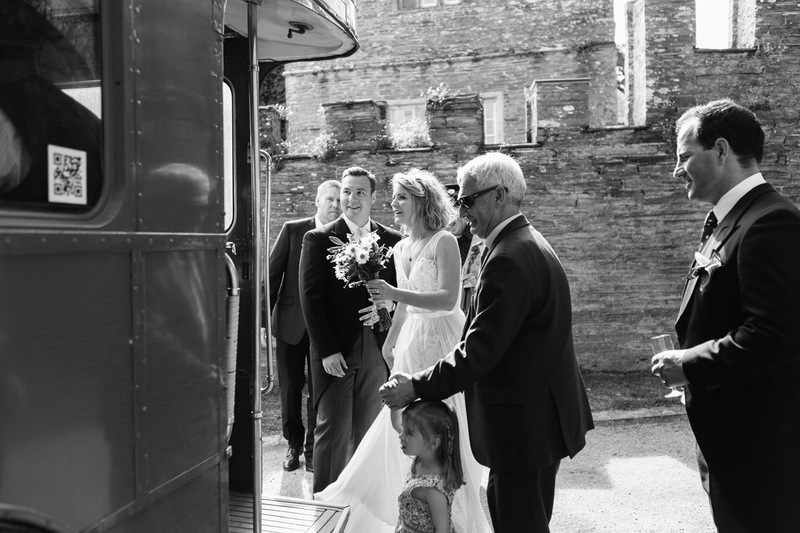 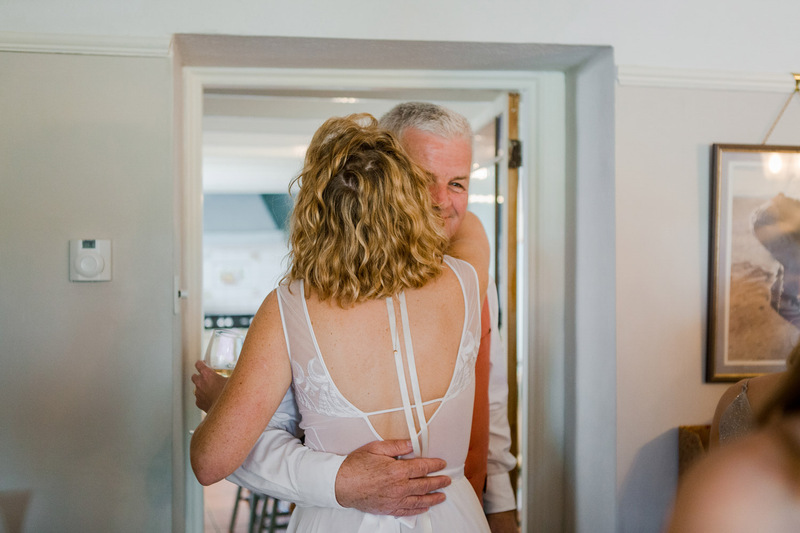 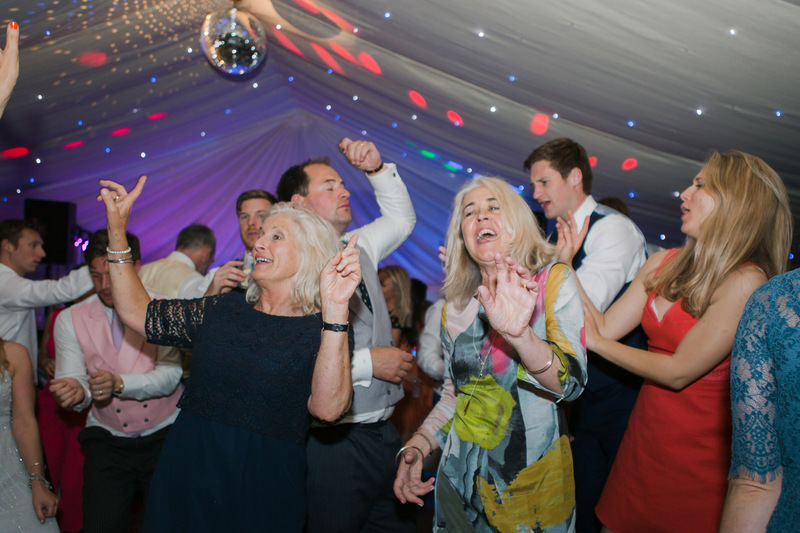 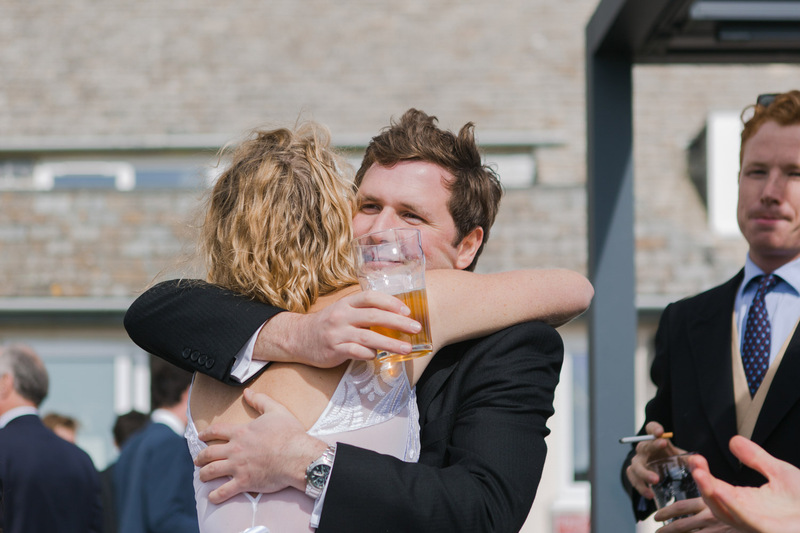 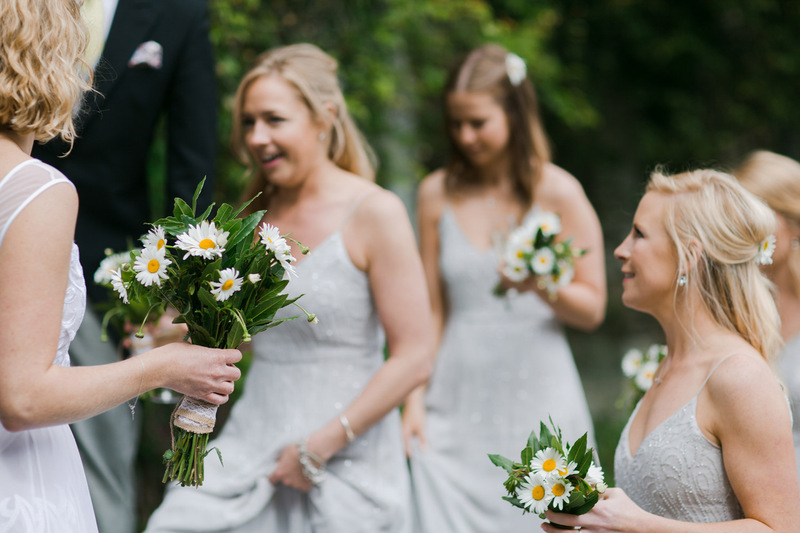 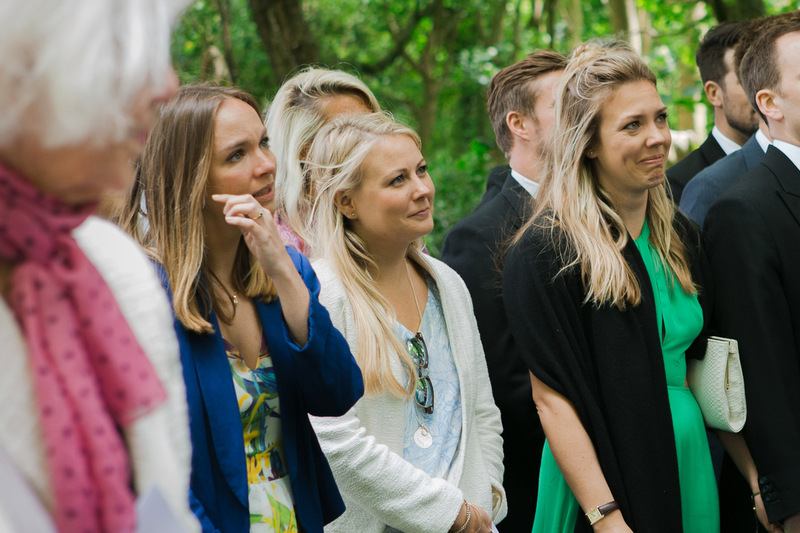 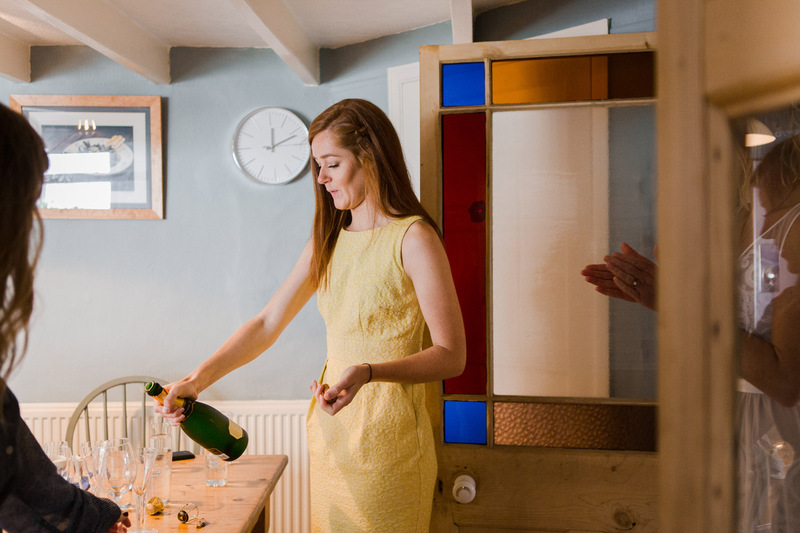 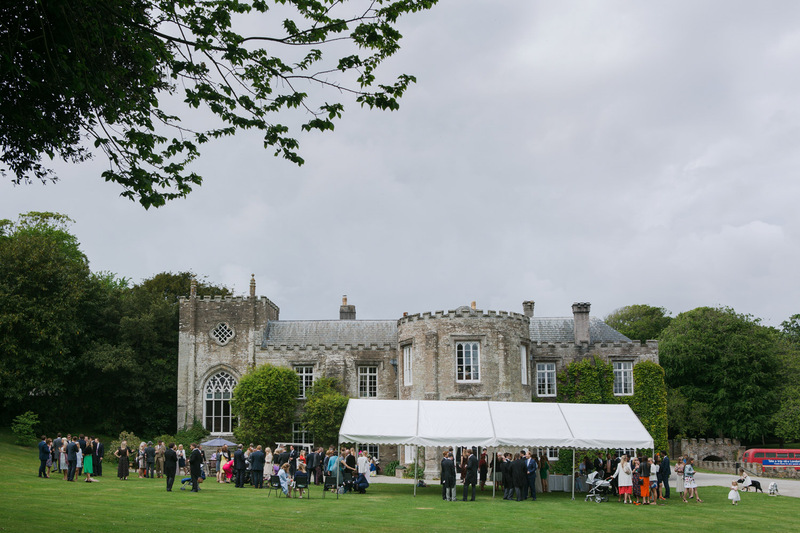 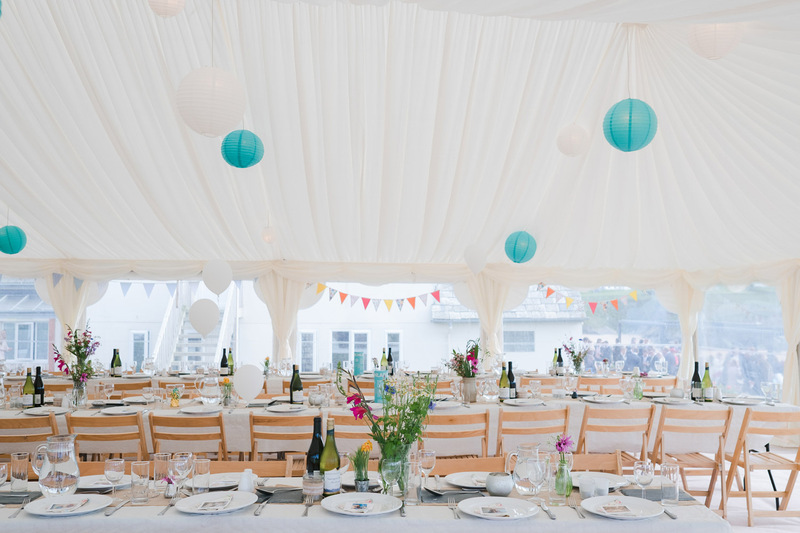 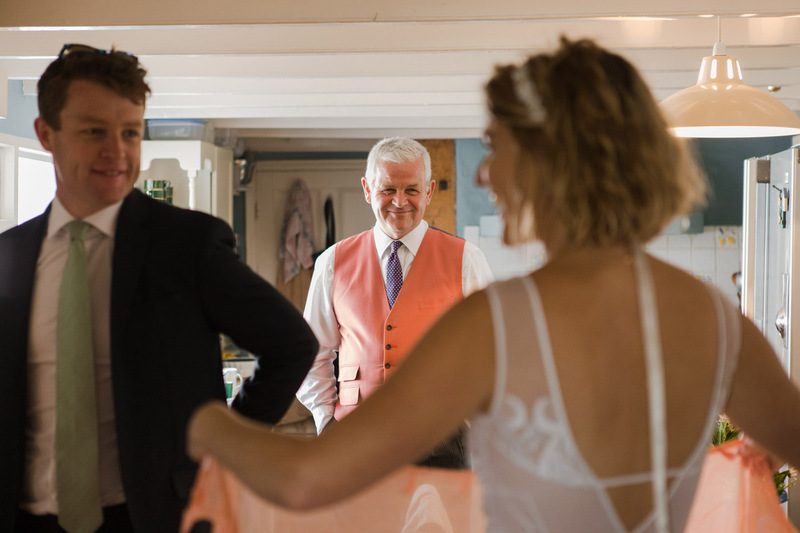 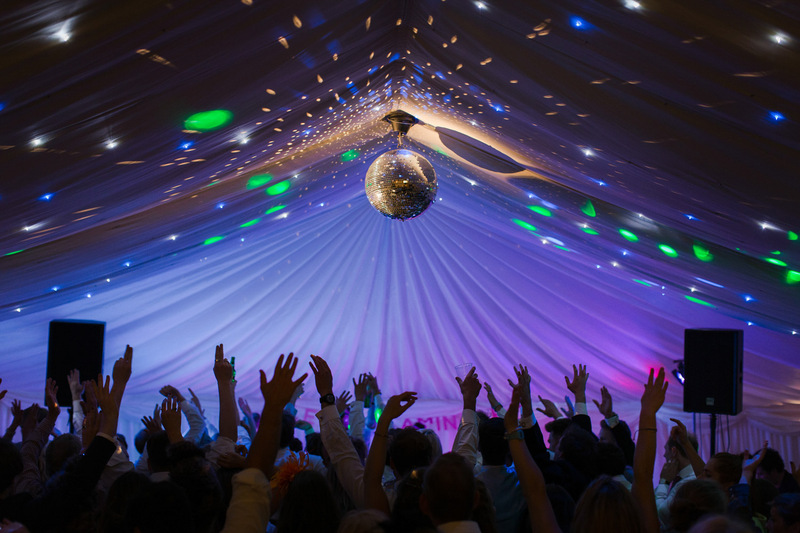 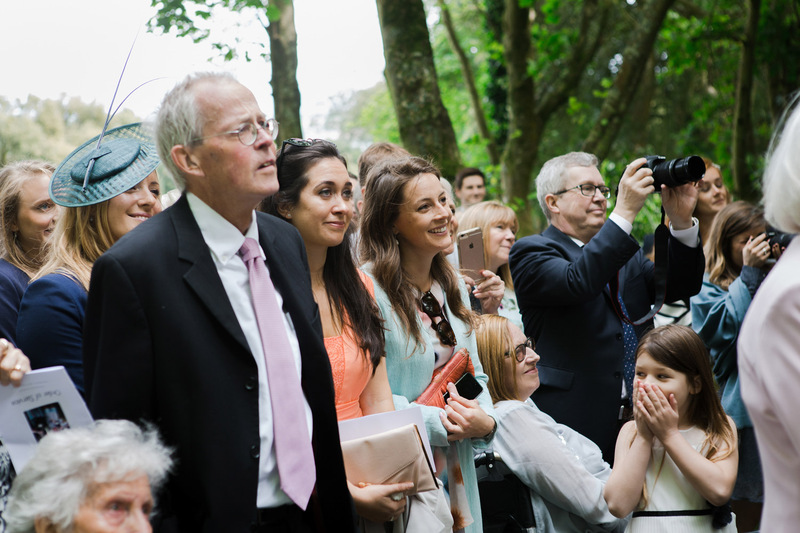 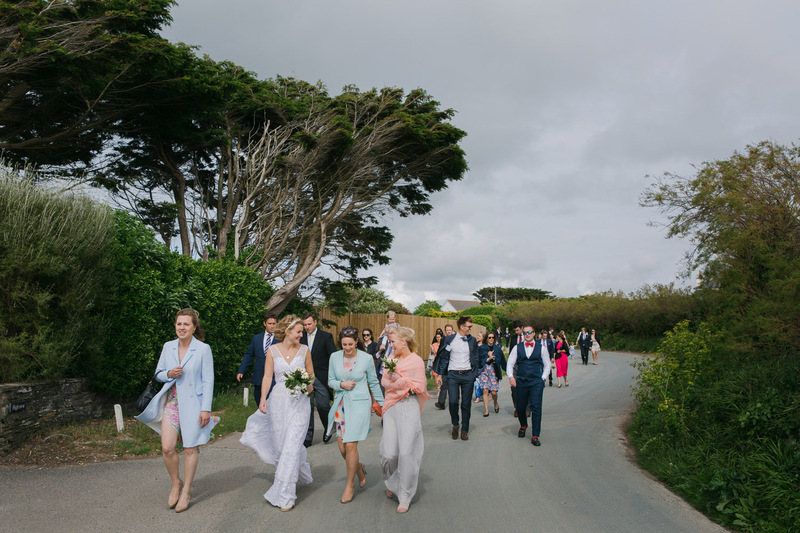 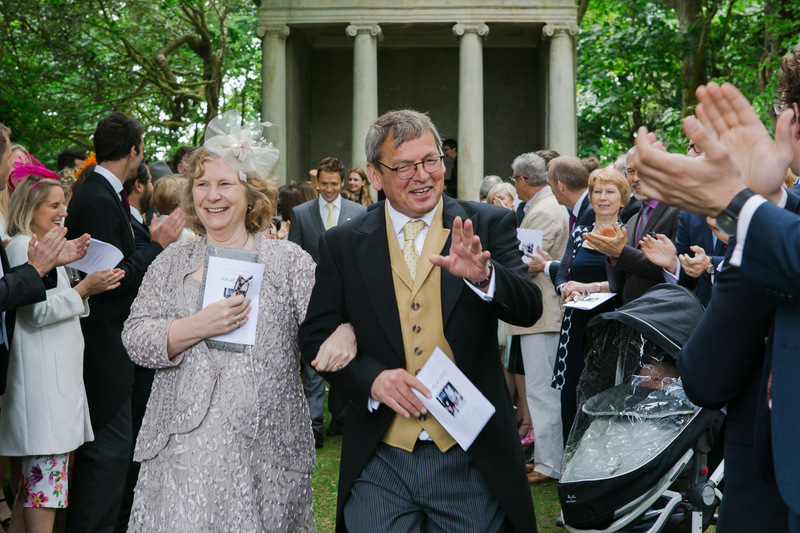 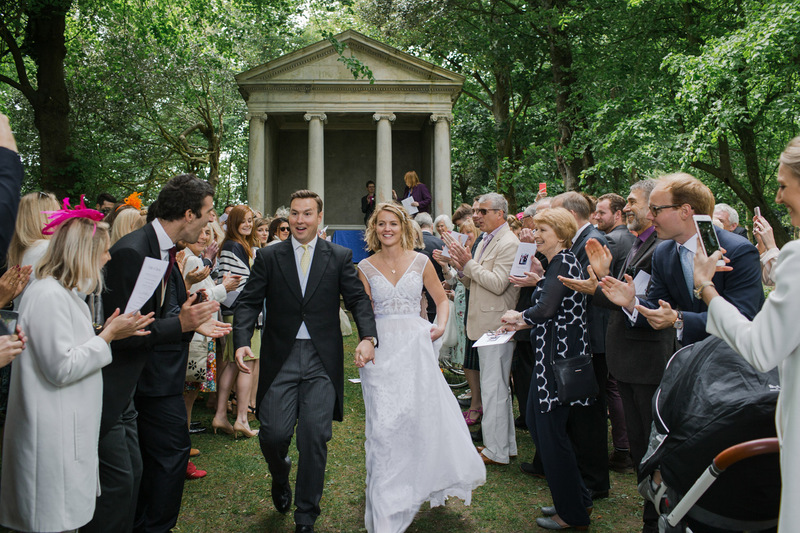 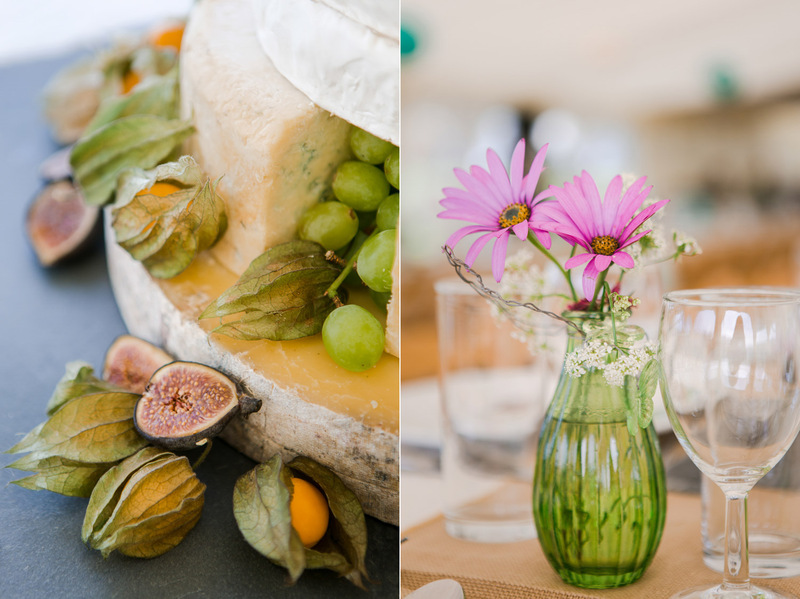 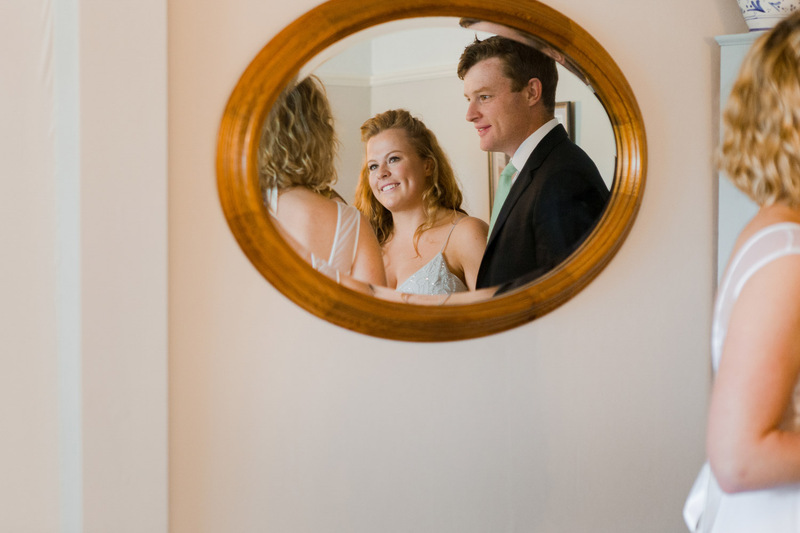 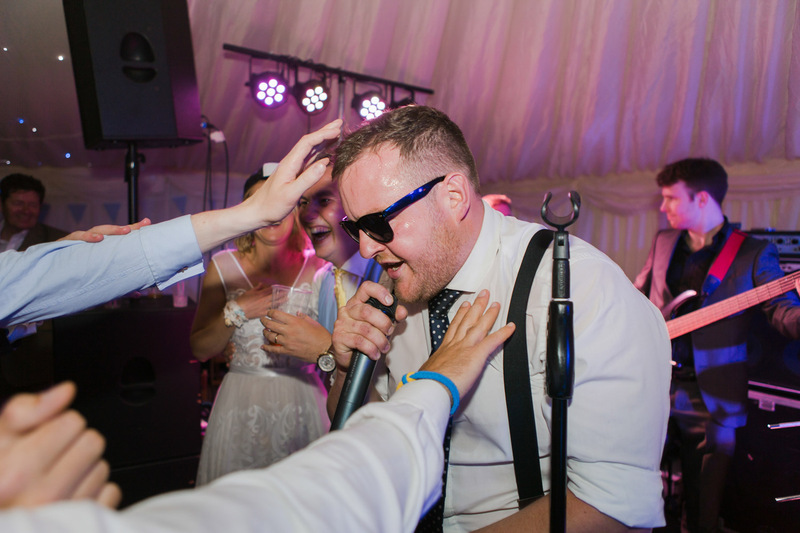 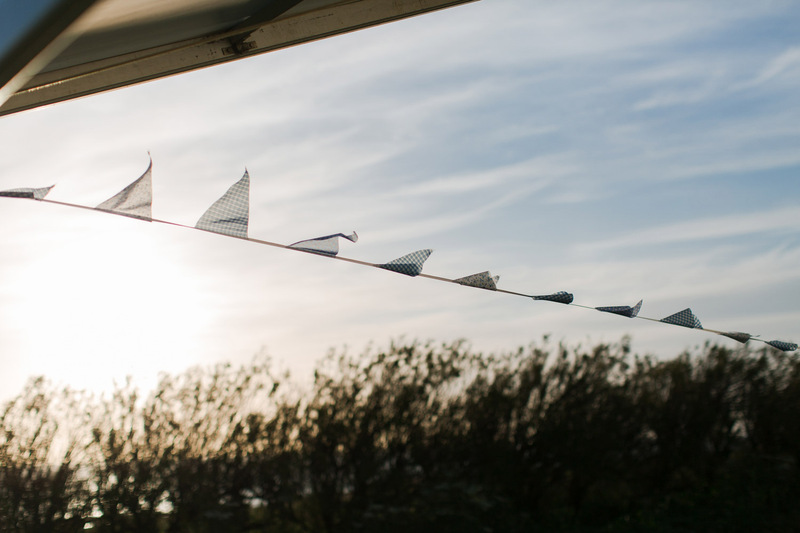 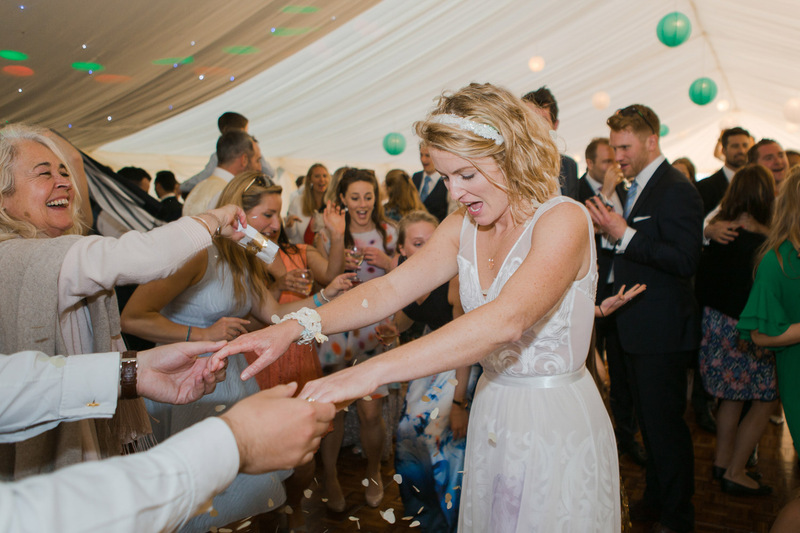 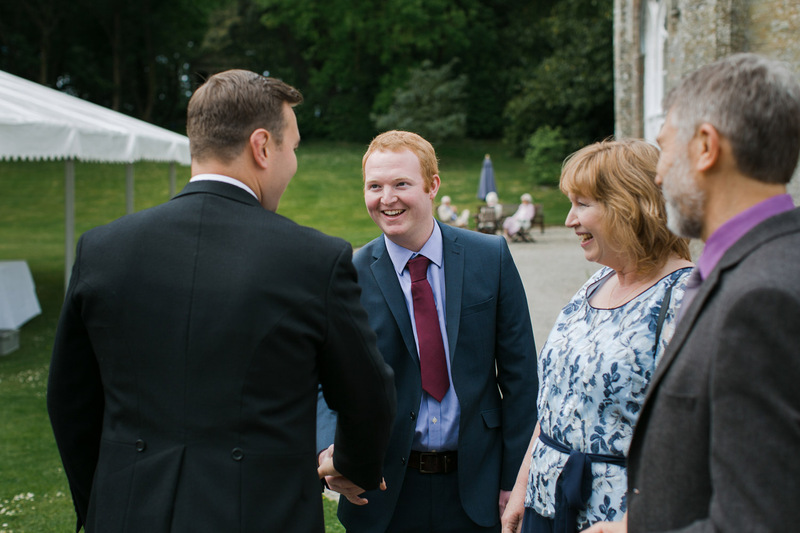 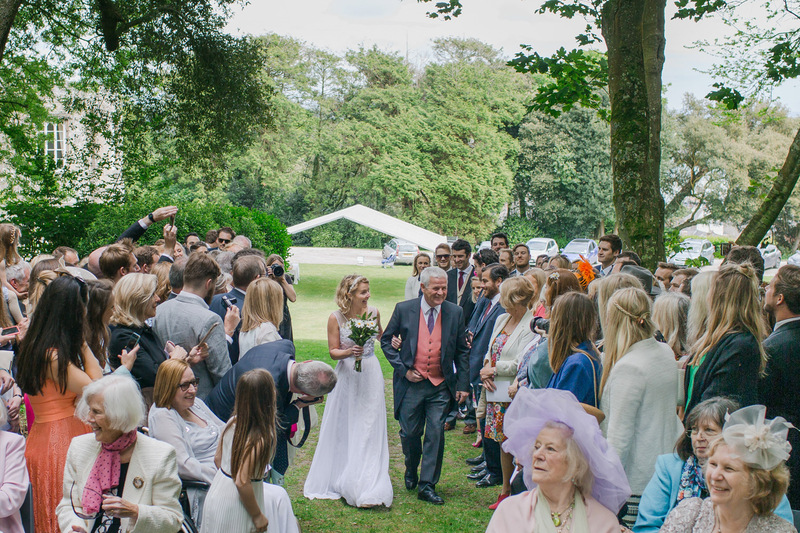 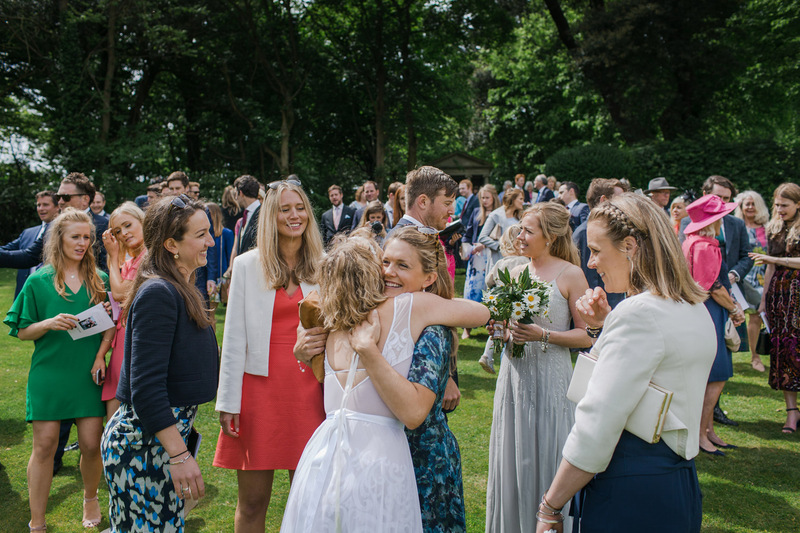 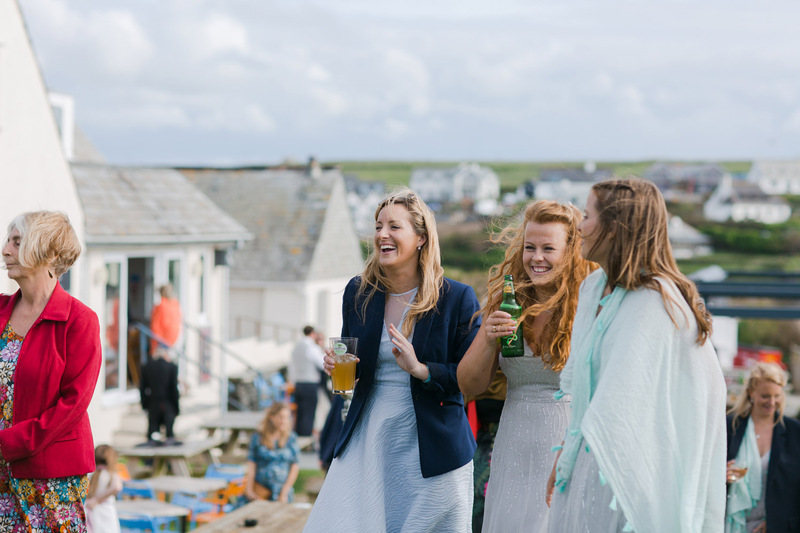 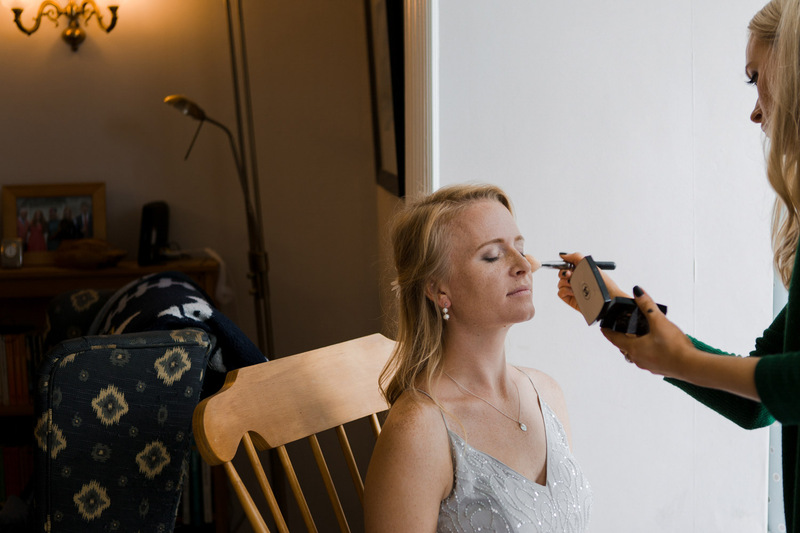 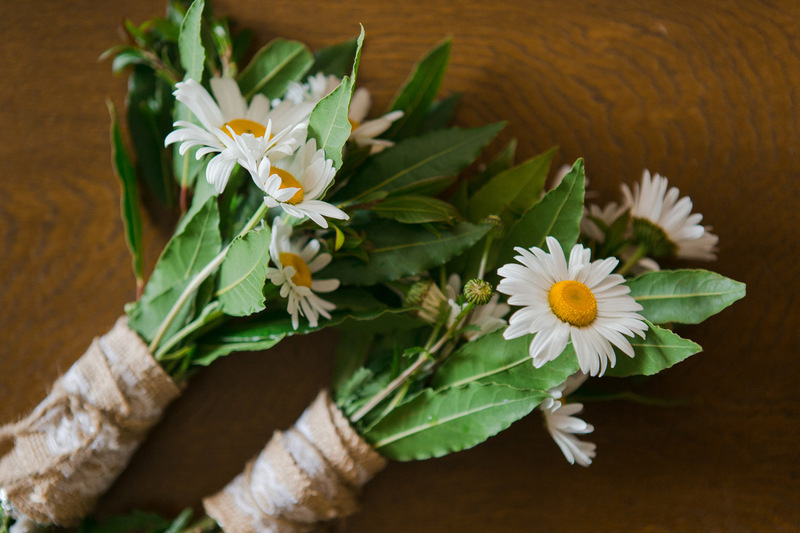 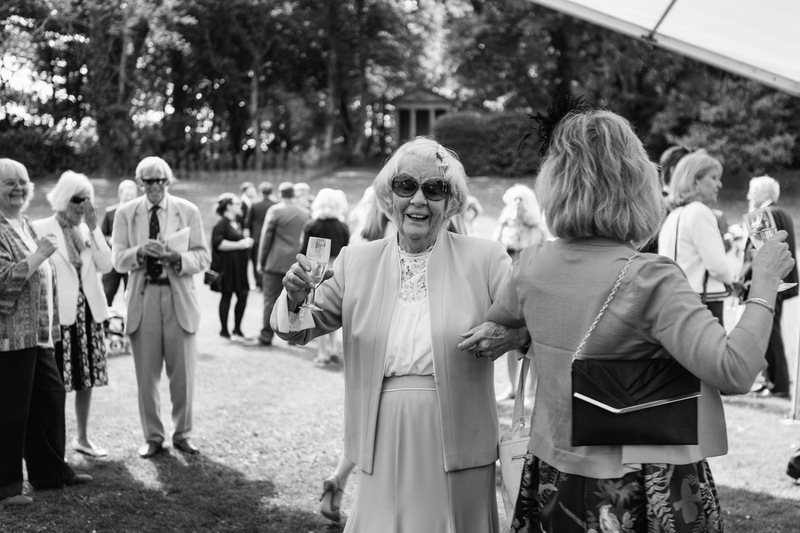 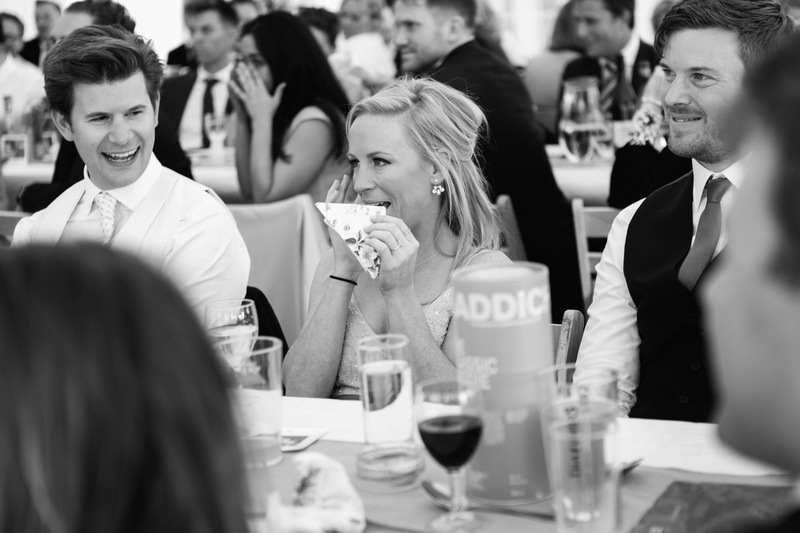 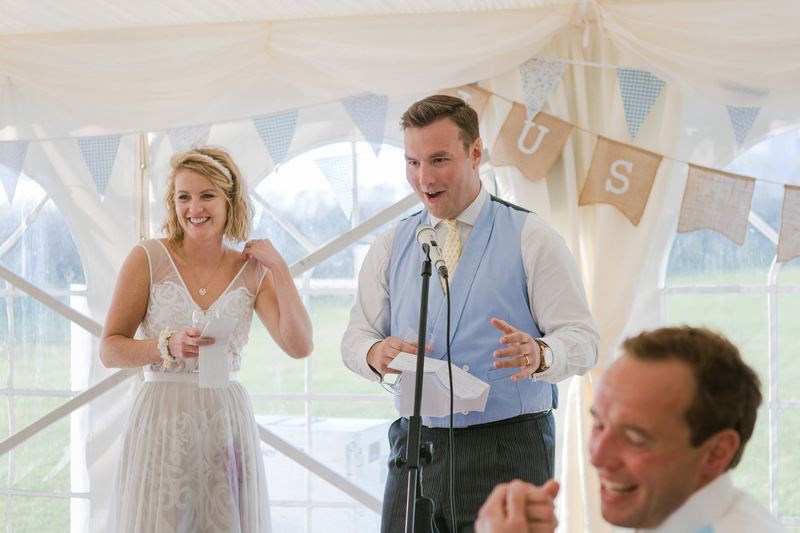 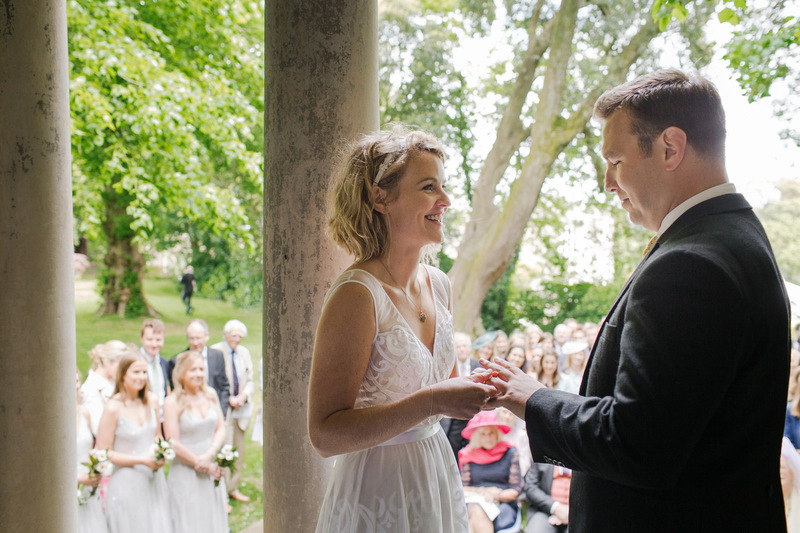 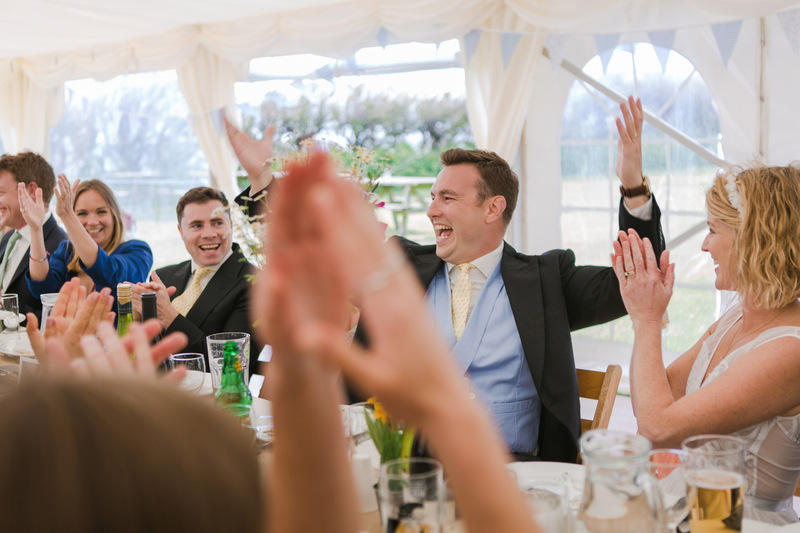 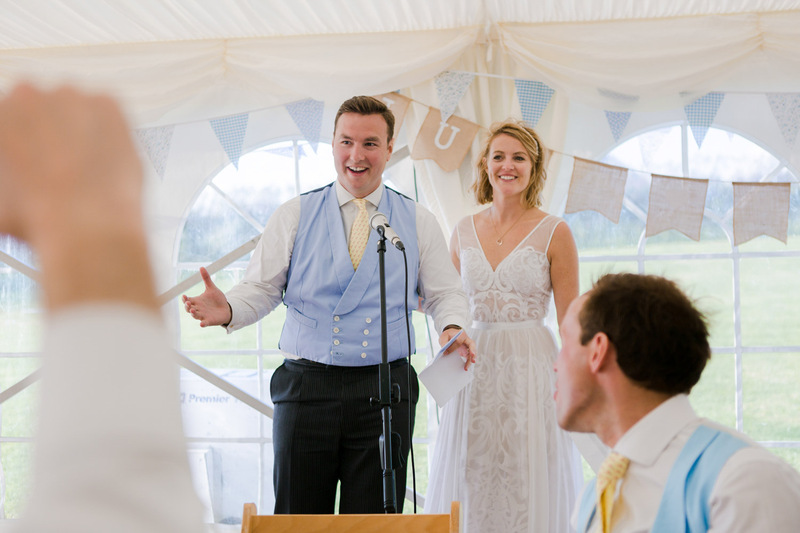 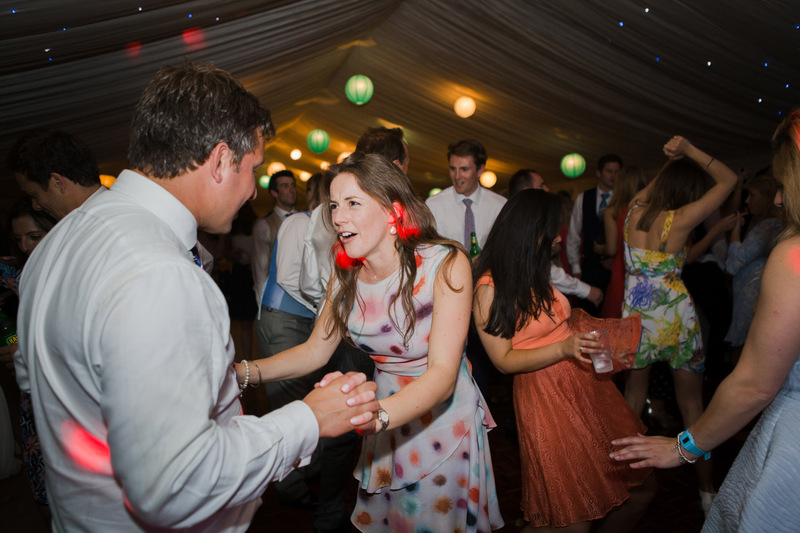 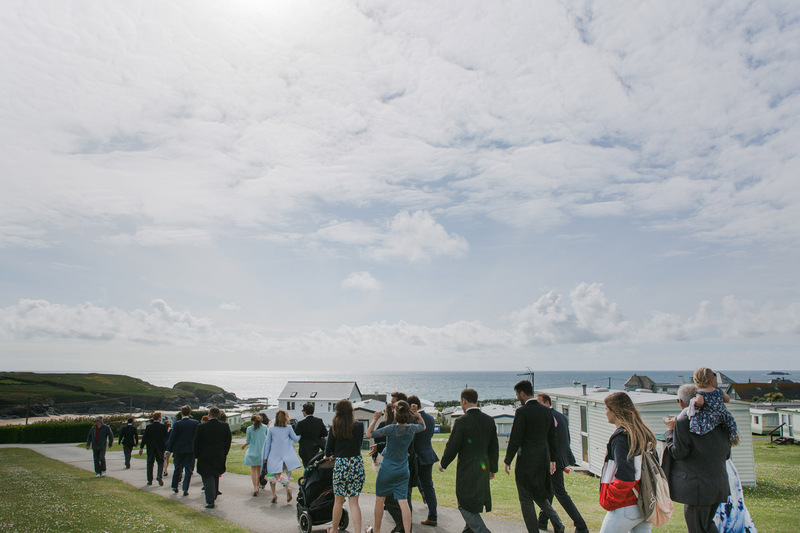 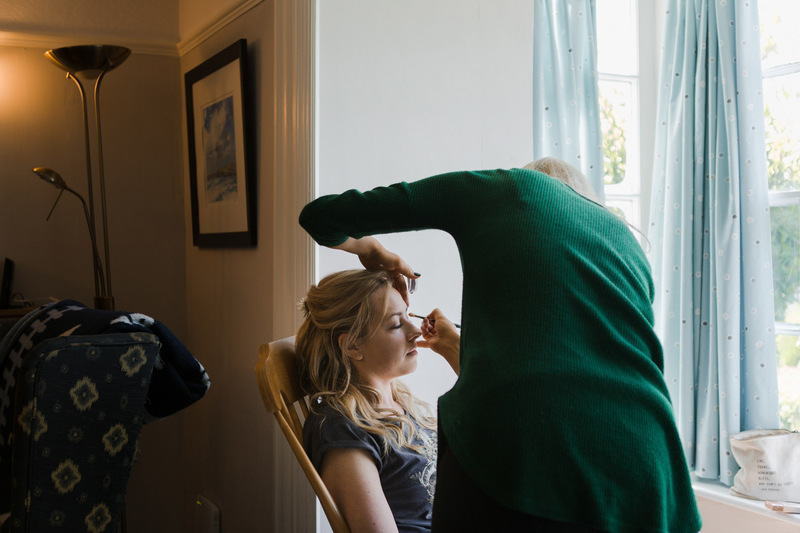 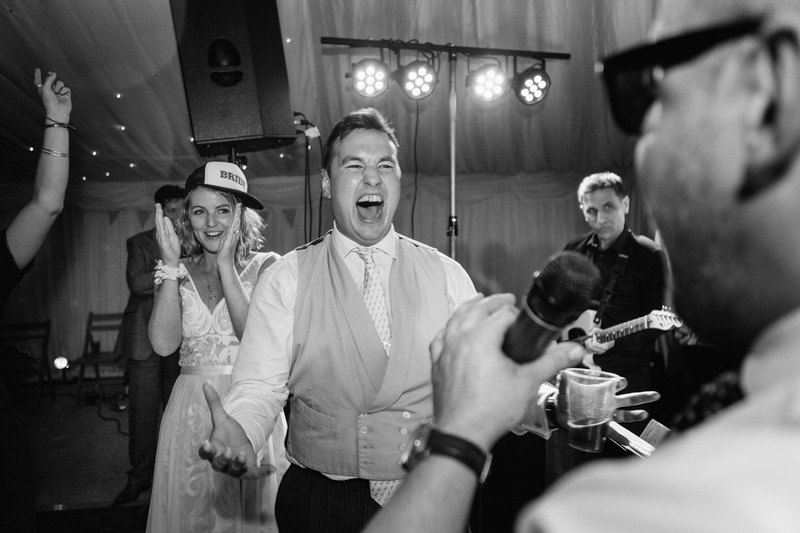 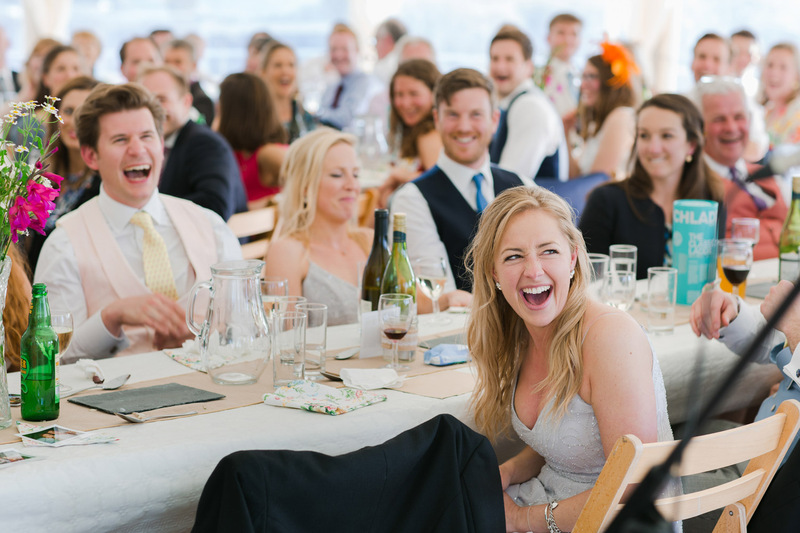 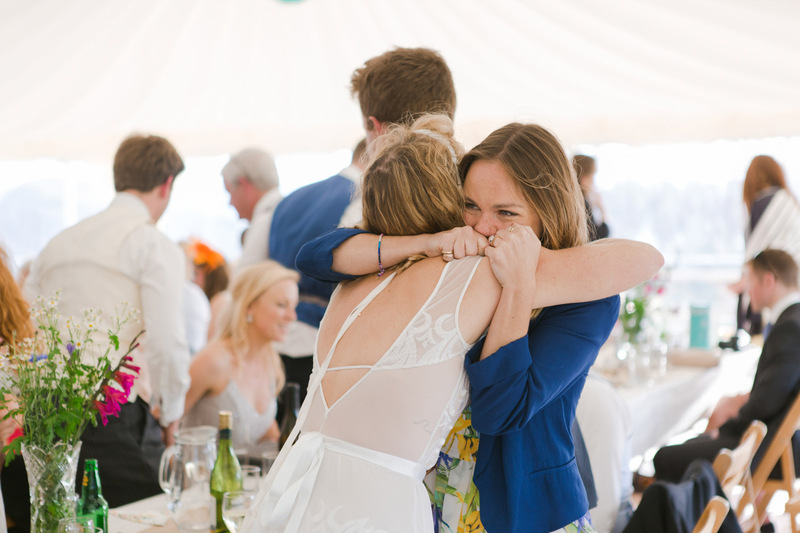 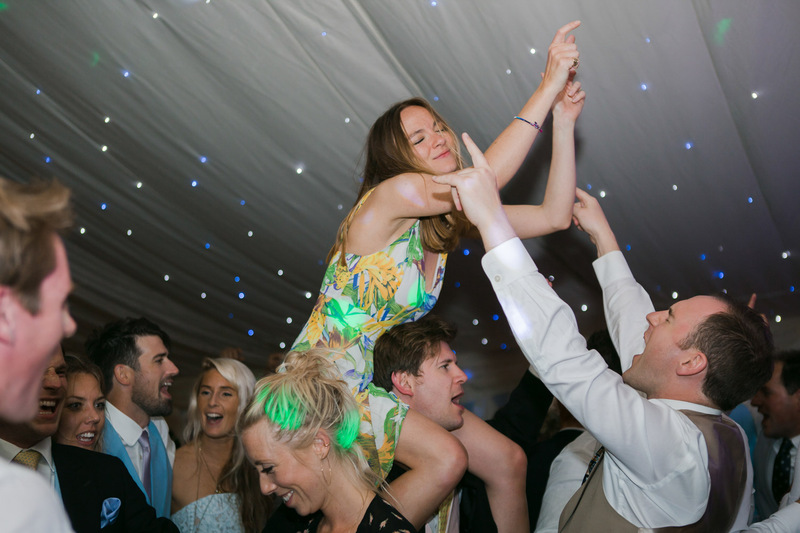 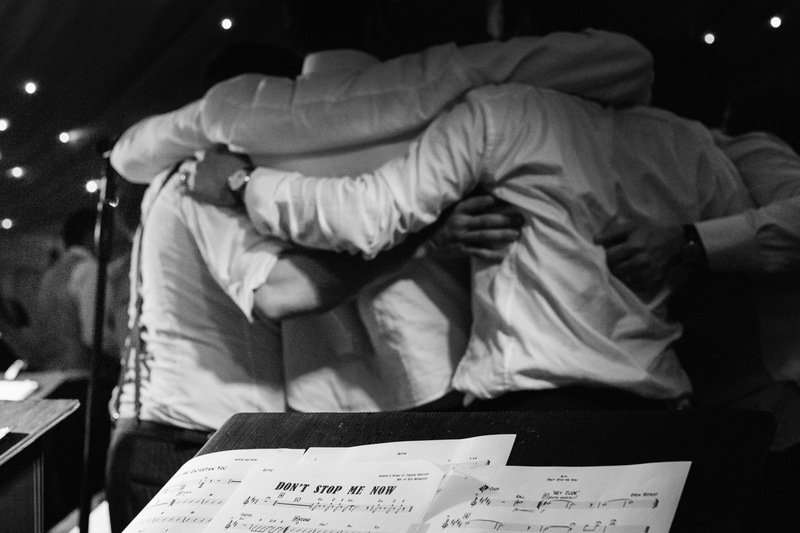 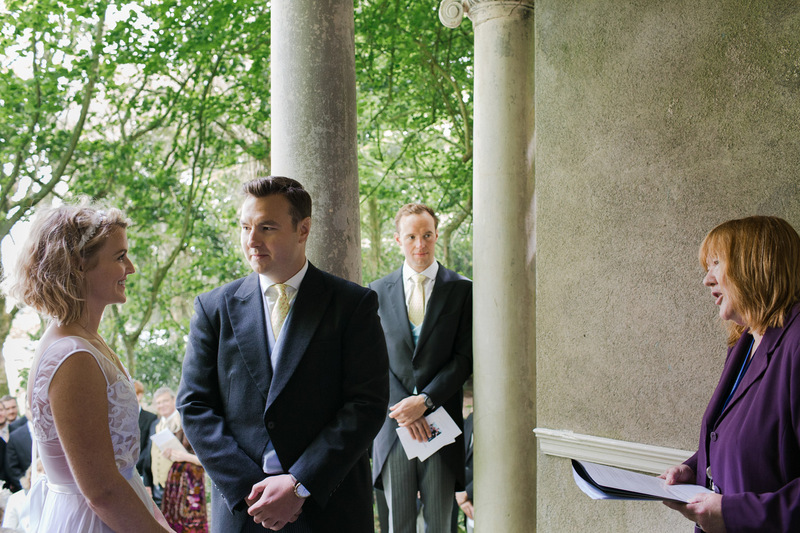 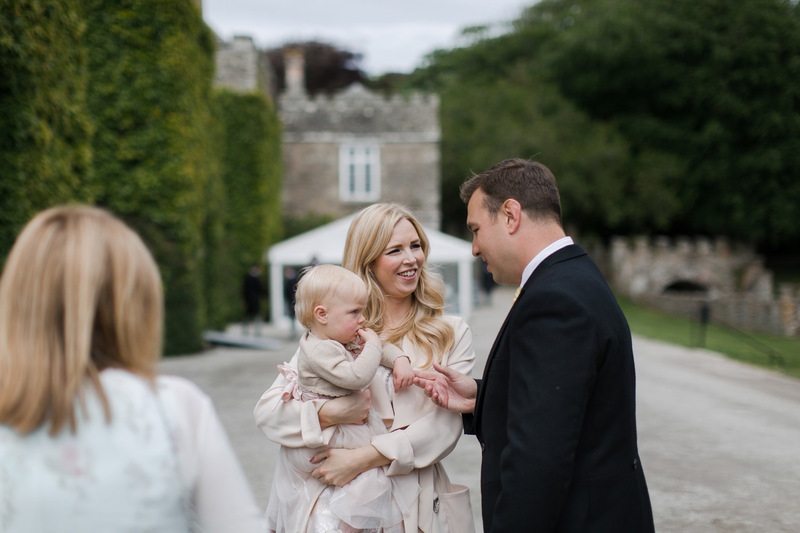 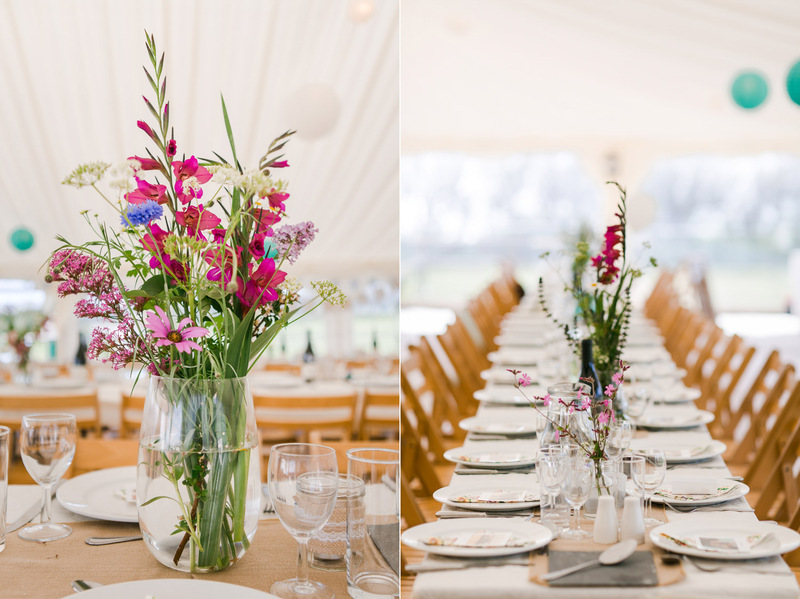 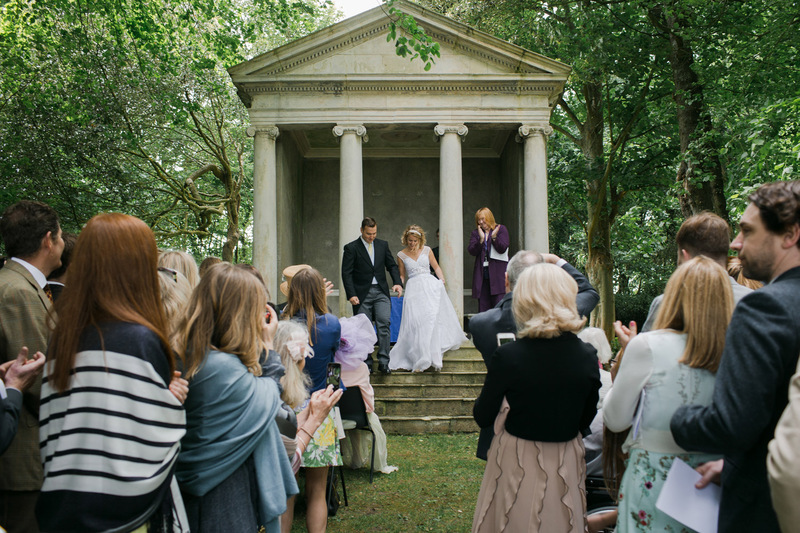 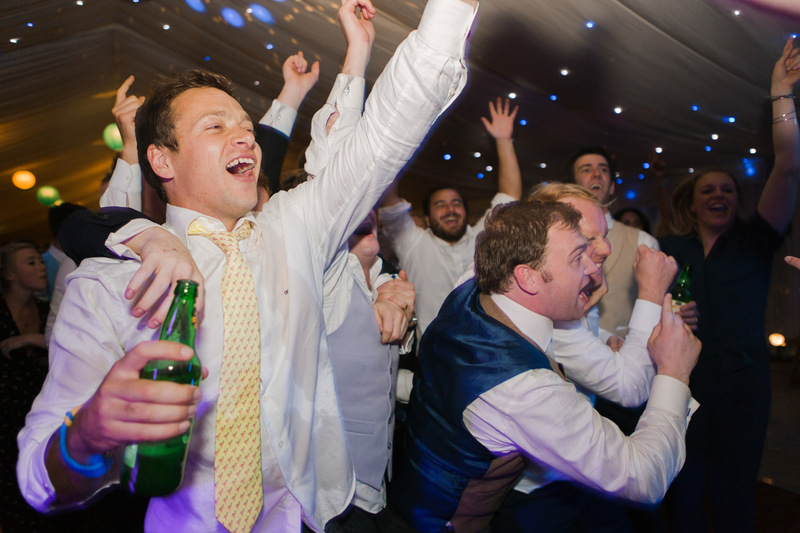 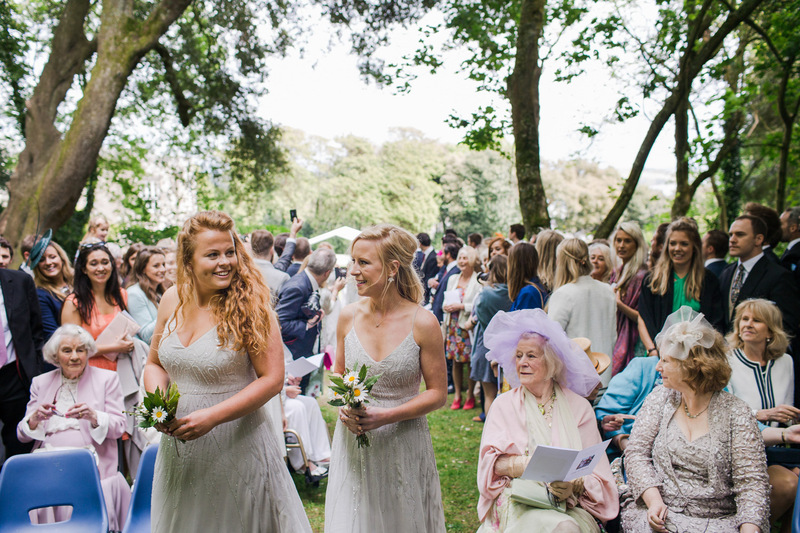 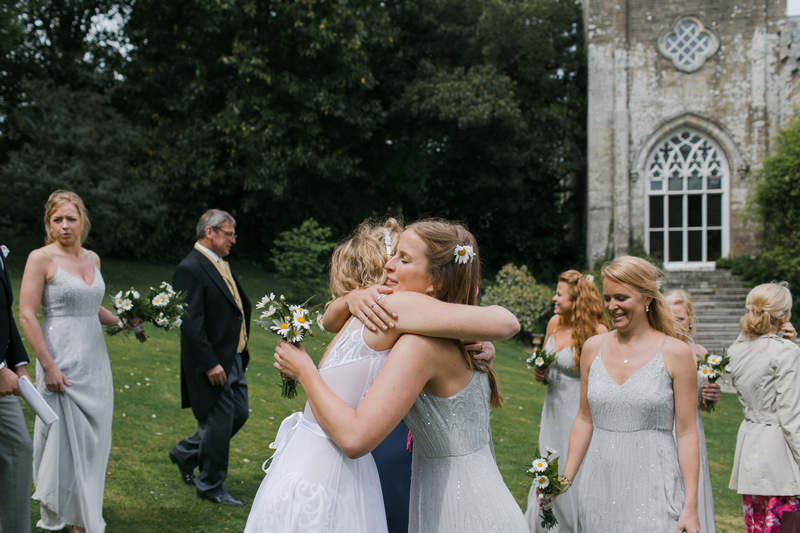 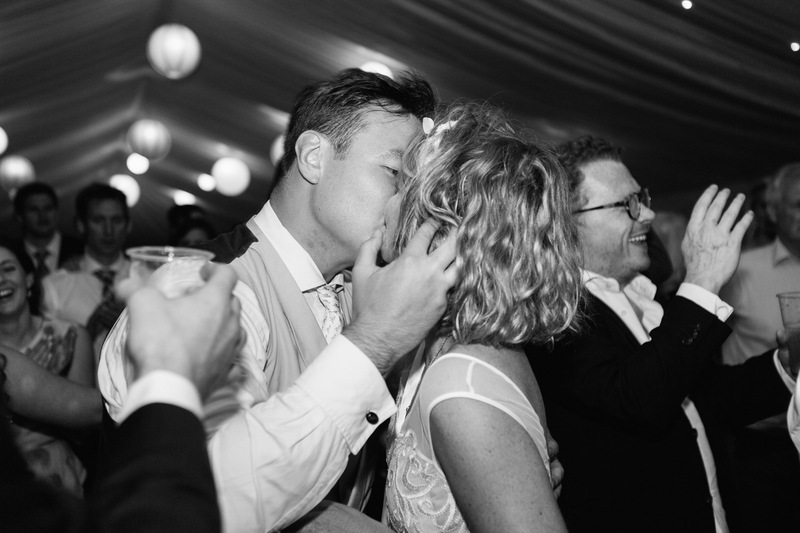 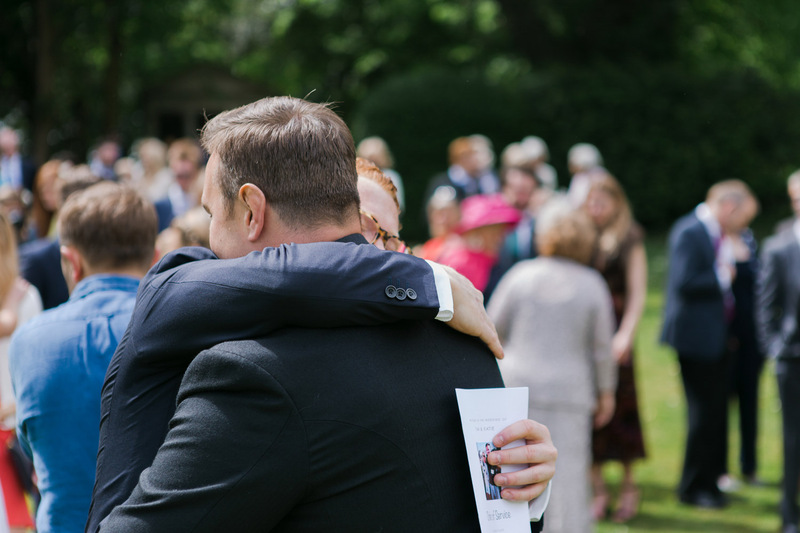 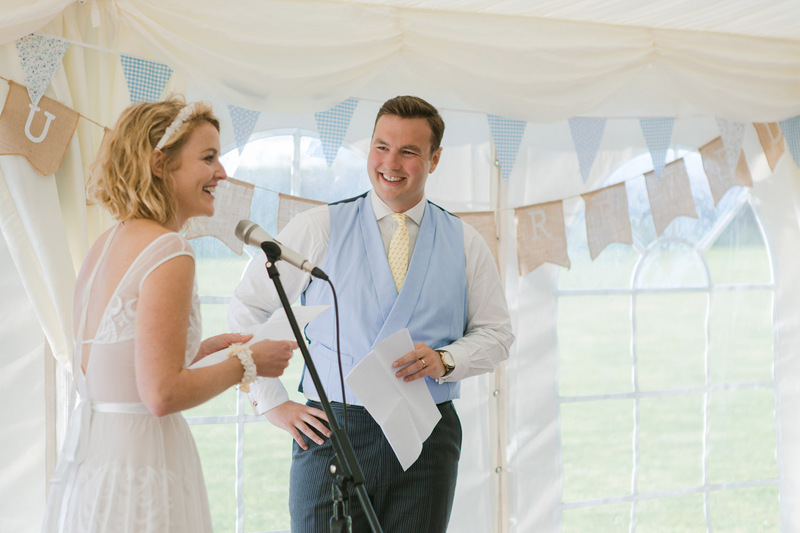 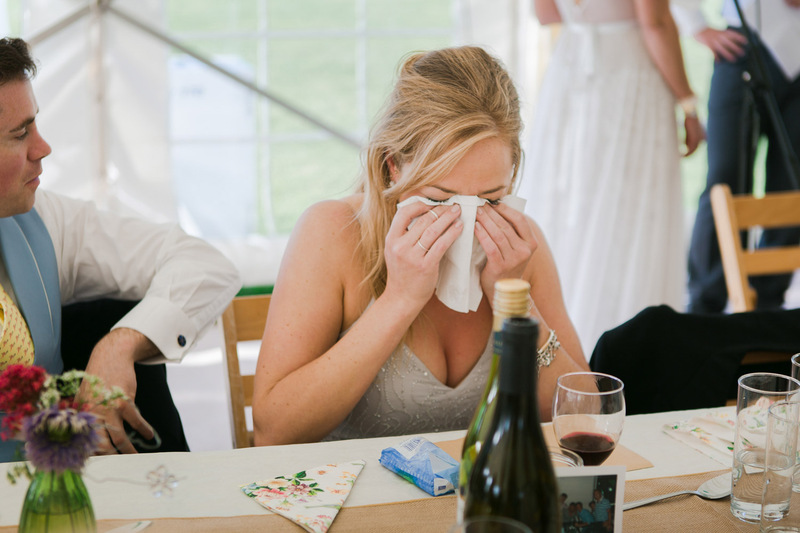 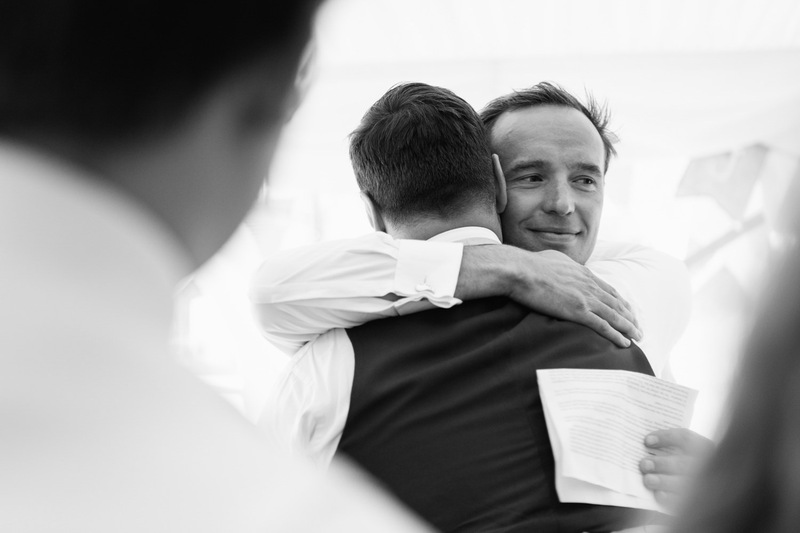 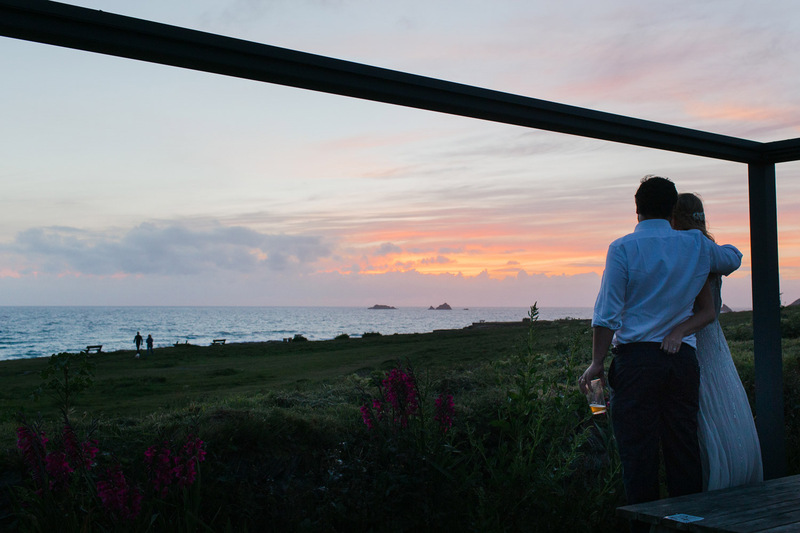 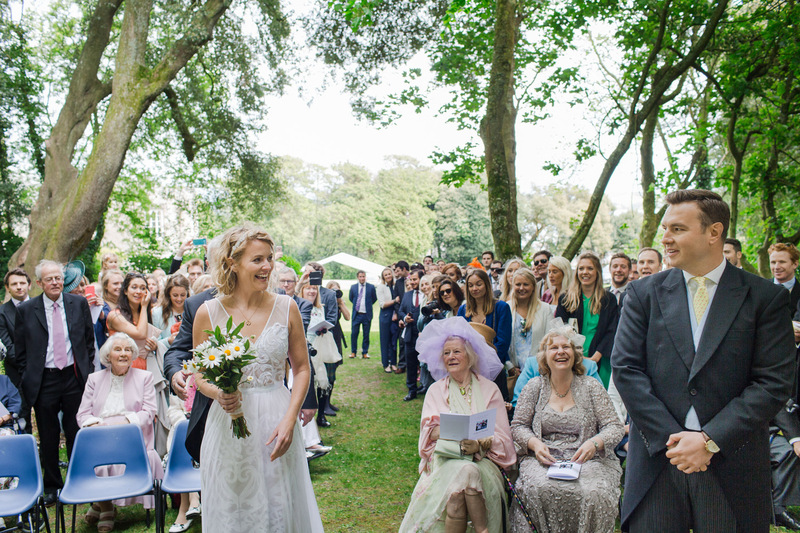 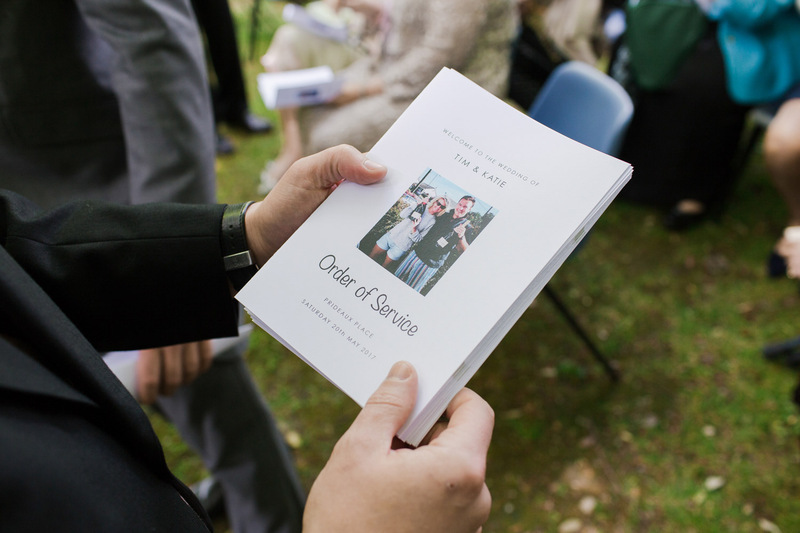 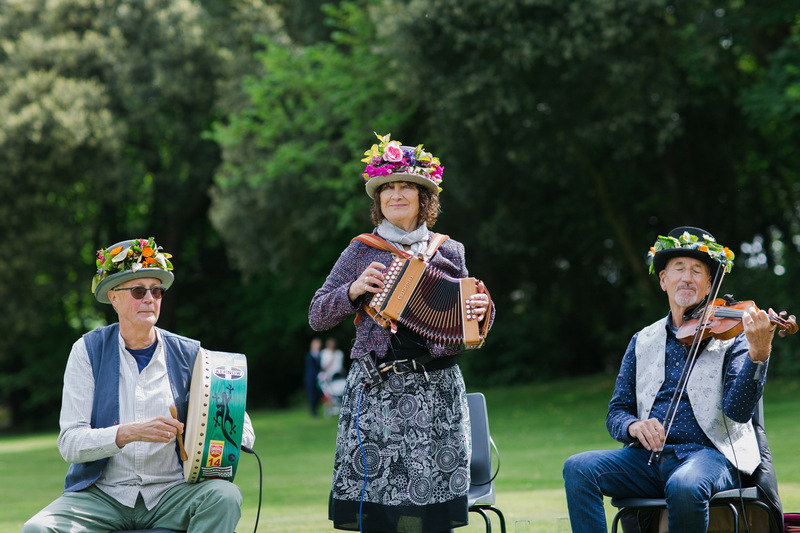 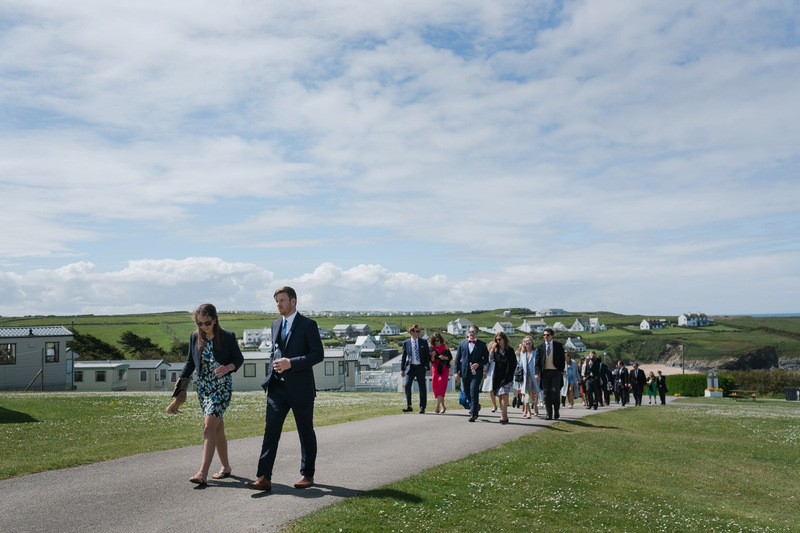 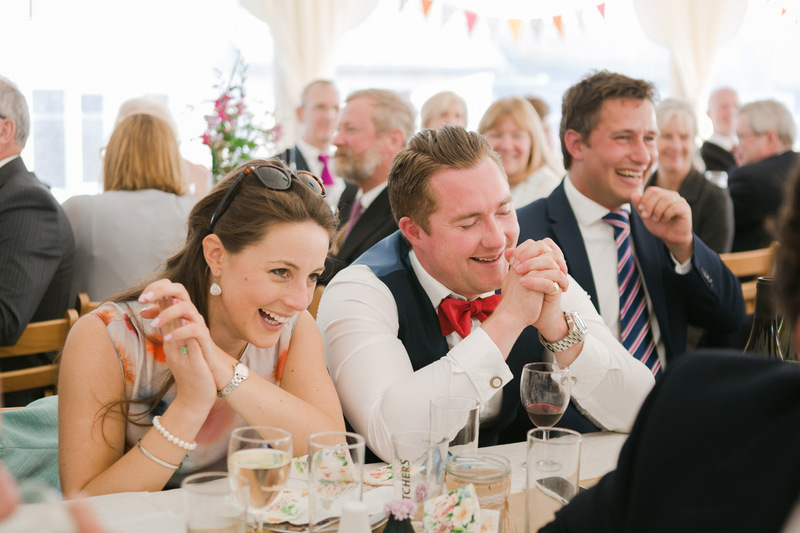 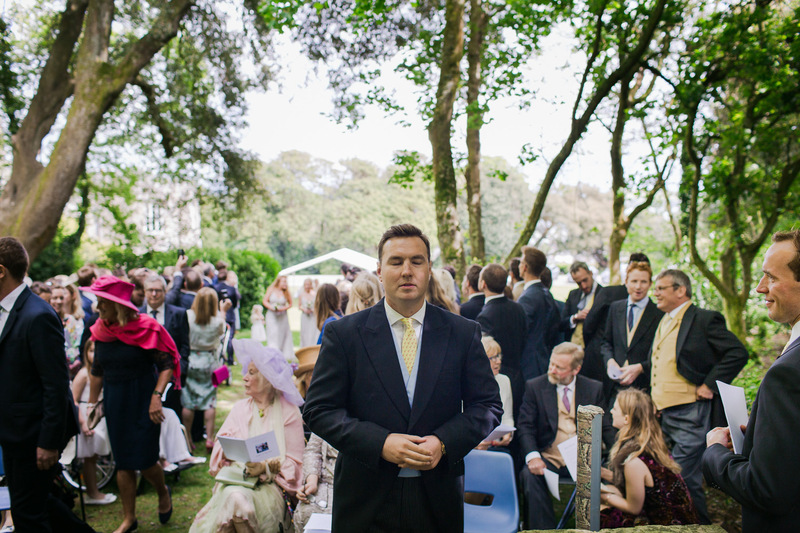 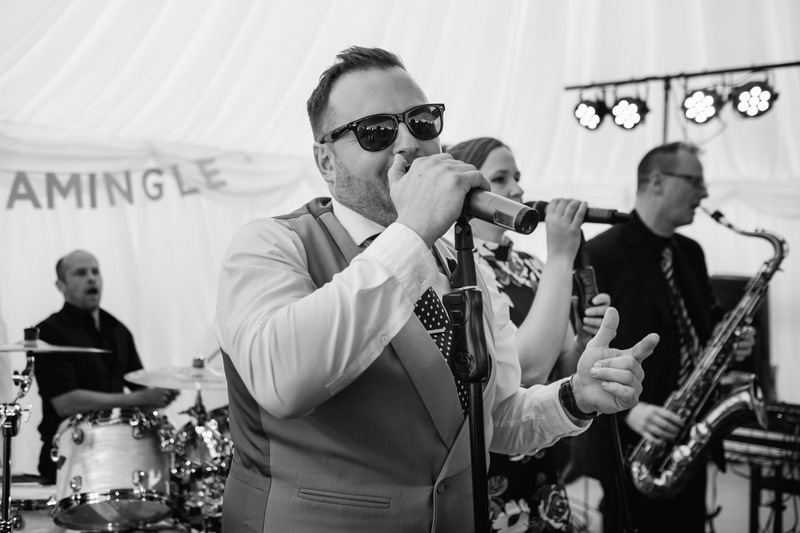 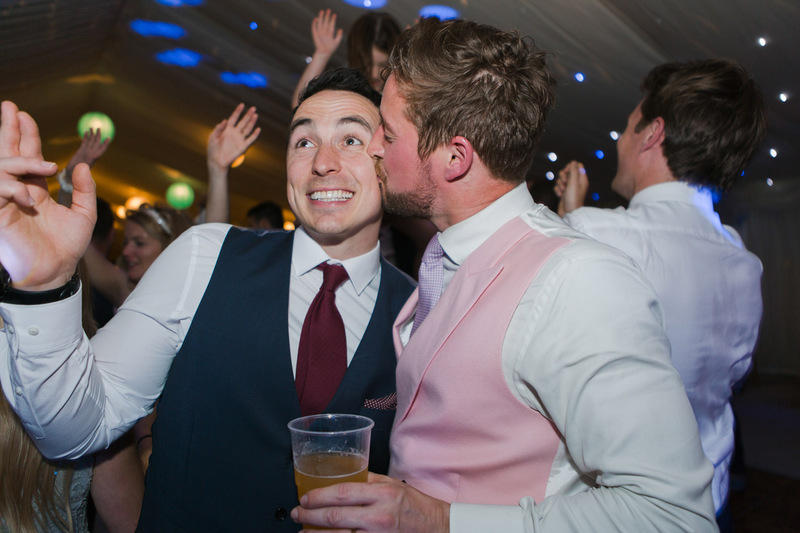 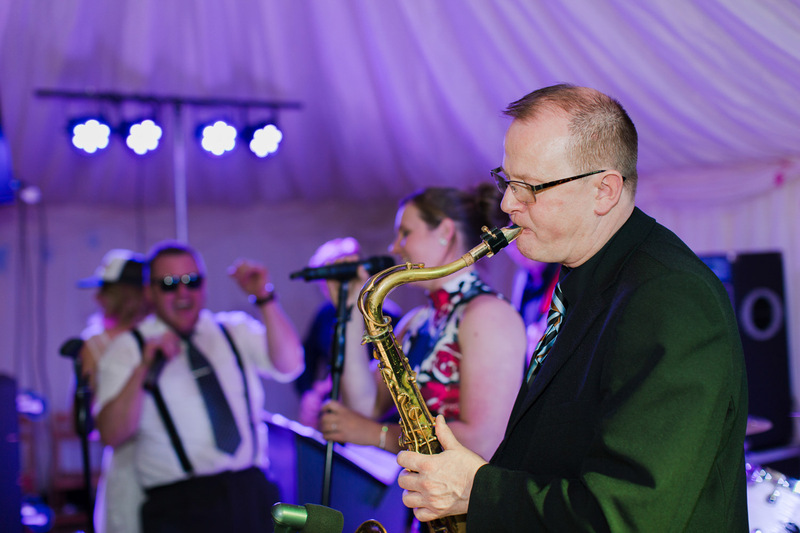 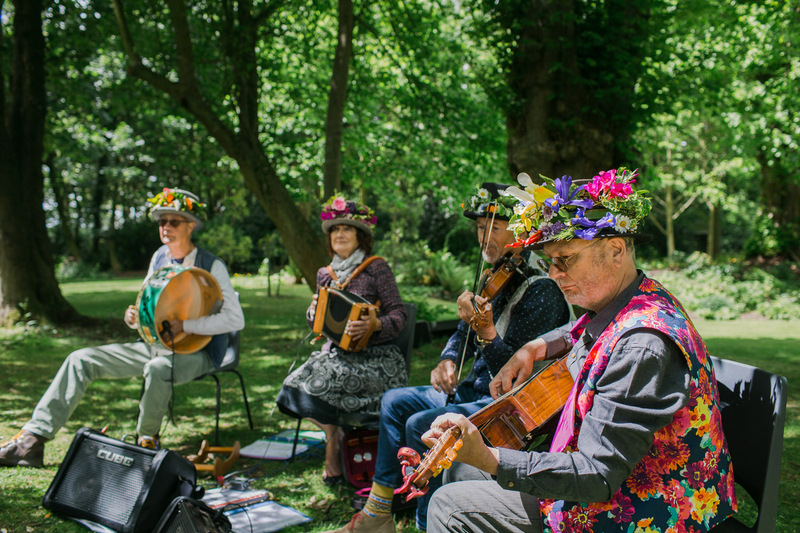 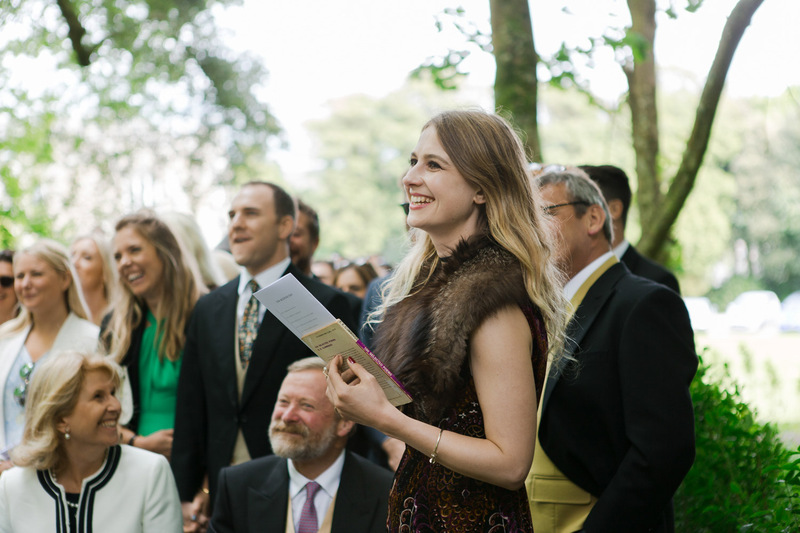 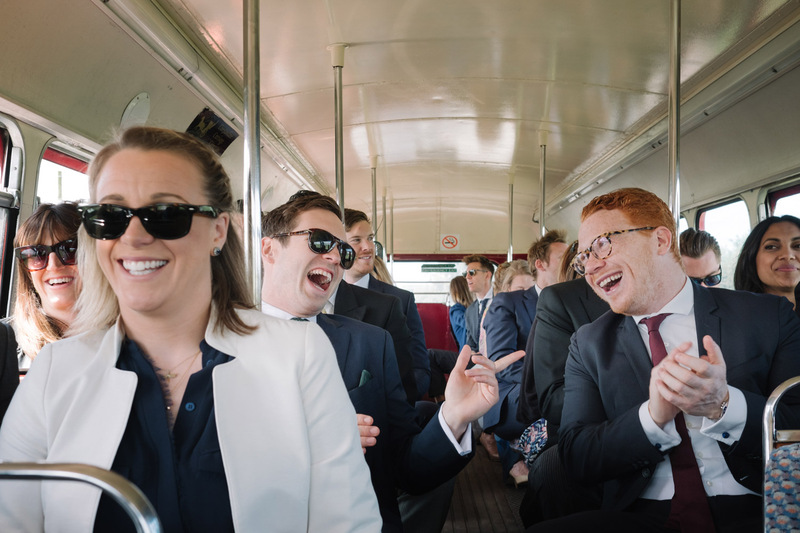 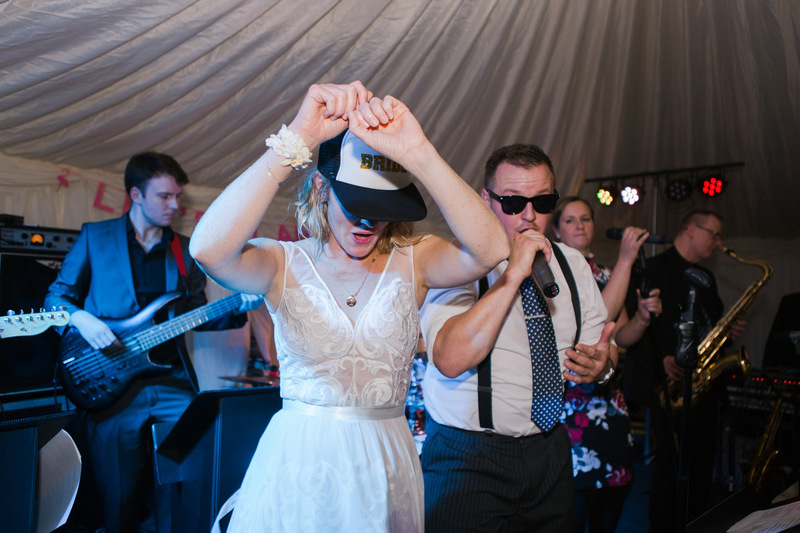 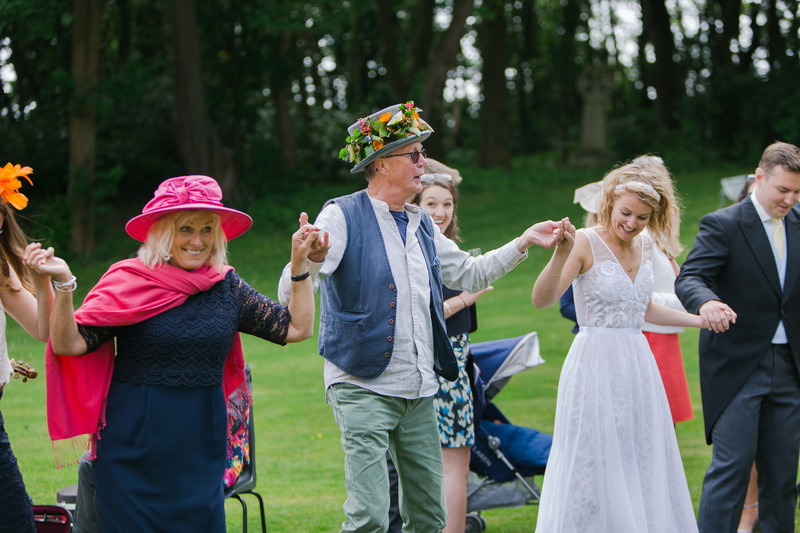 Katie & Tim’s day had it all…a youth hostel, Padstow pubs, an woodland wedding service, a marquee reception, a London bus, a Cornish folk band and an evening band fronted by one of the groomsmen no less. 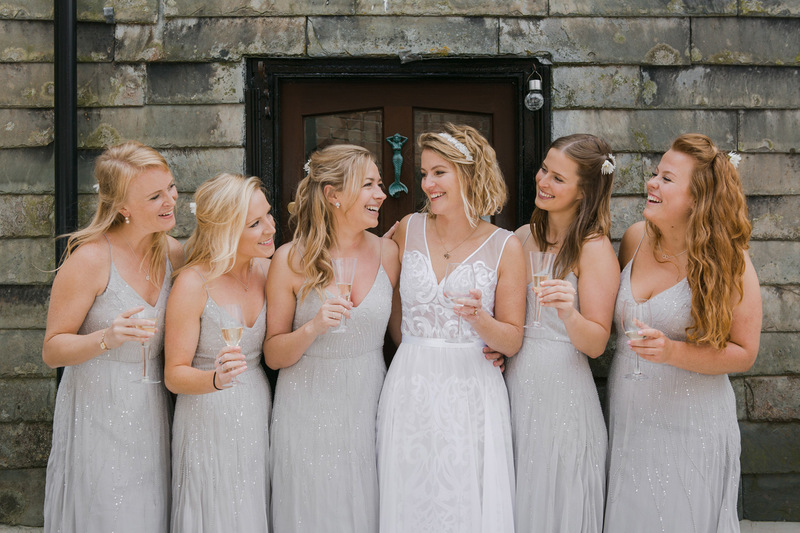 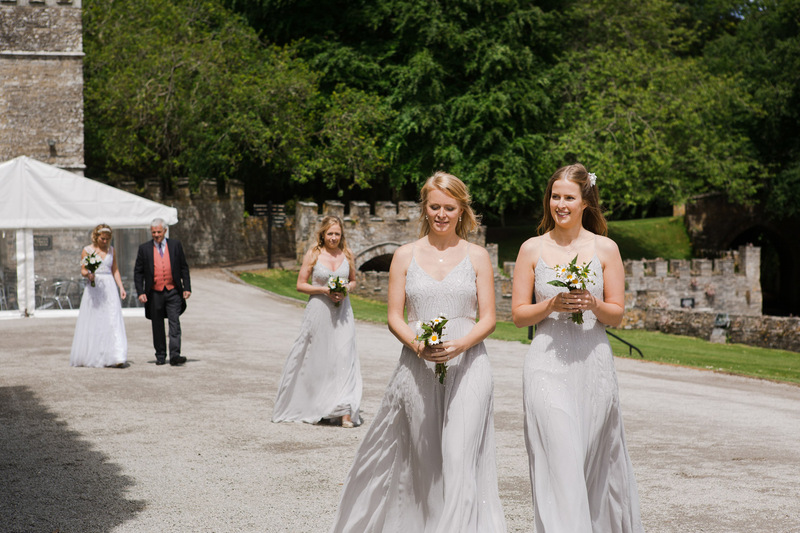 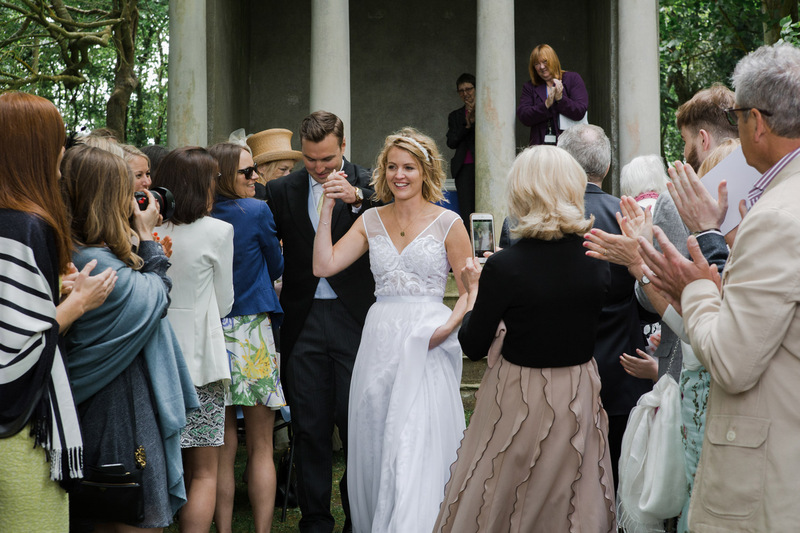 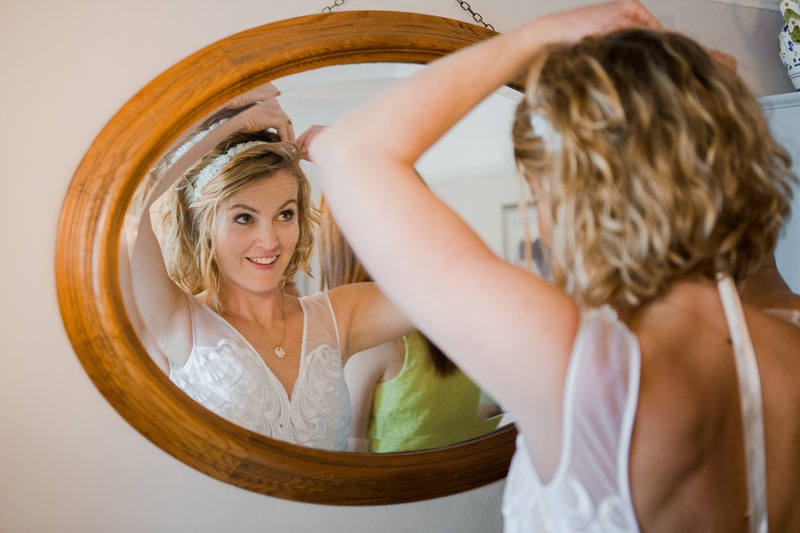 To top it off, Katie’s Grace Loves Lace wedding dress was stunning! 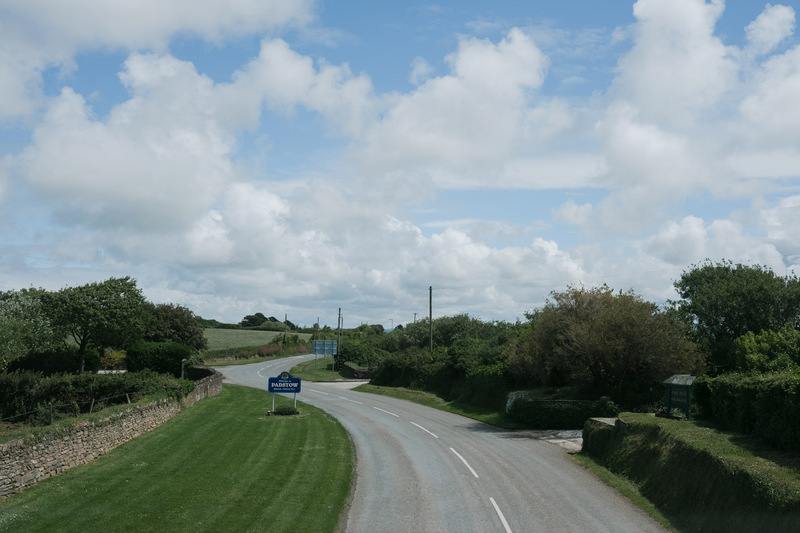 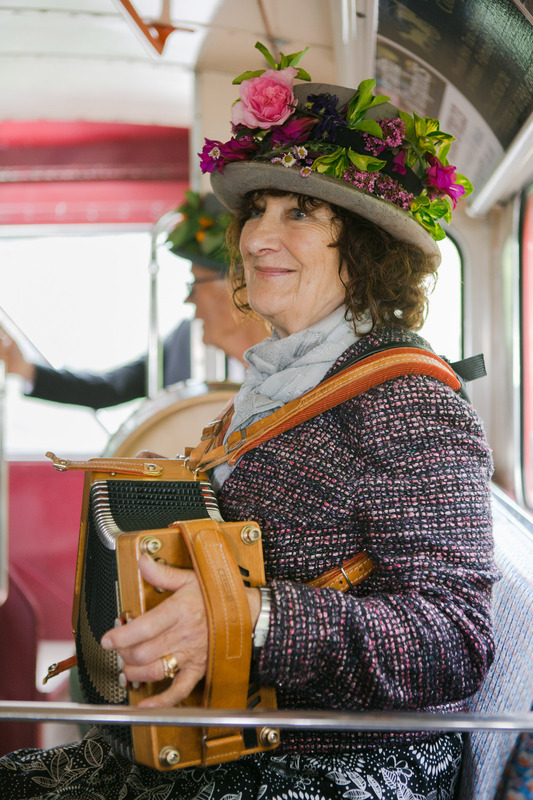 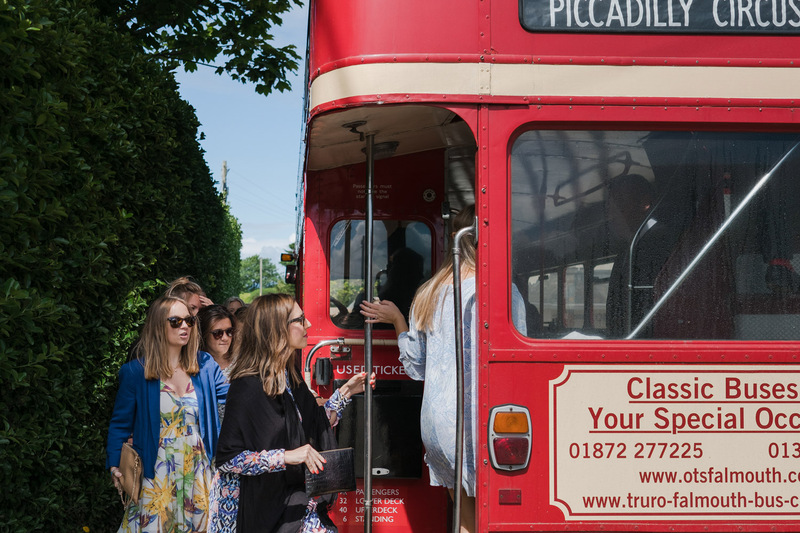 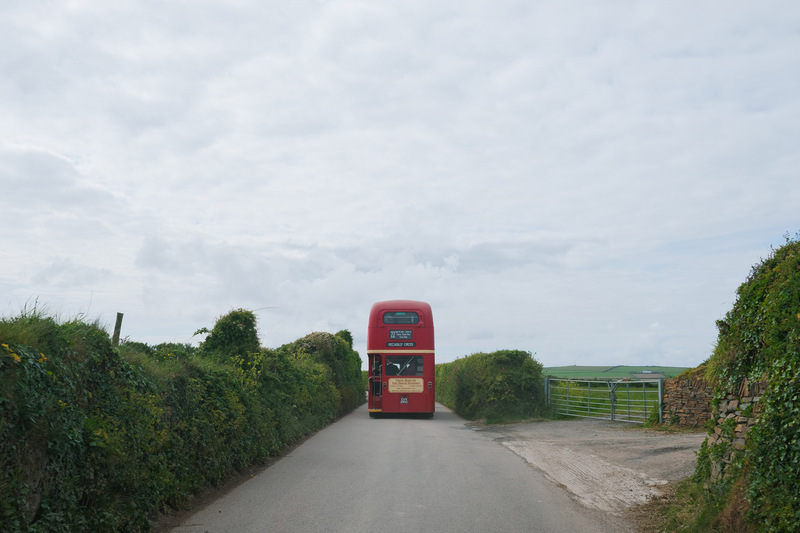 A double decker bus can only go so far on the narrow Cornish roads, so on the way back from the service we all got on our feet and headed down to the bay. 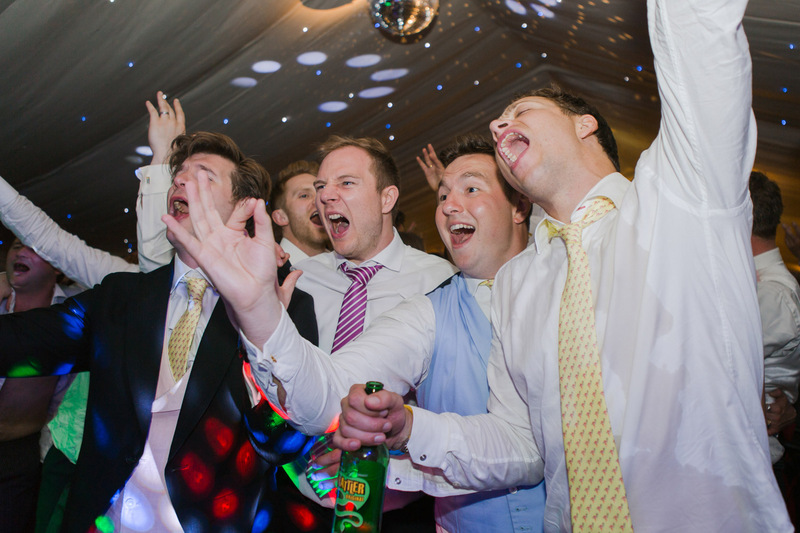 As the sun came down the party really kicked off and these guys knew how to party hard. 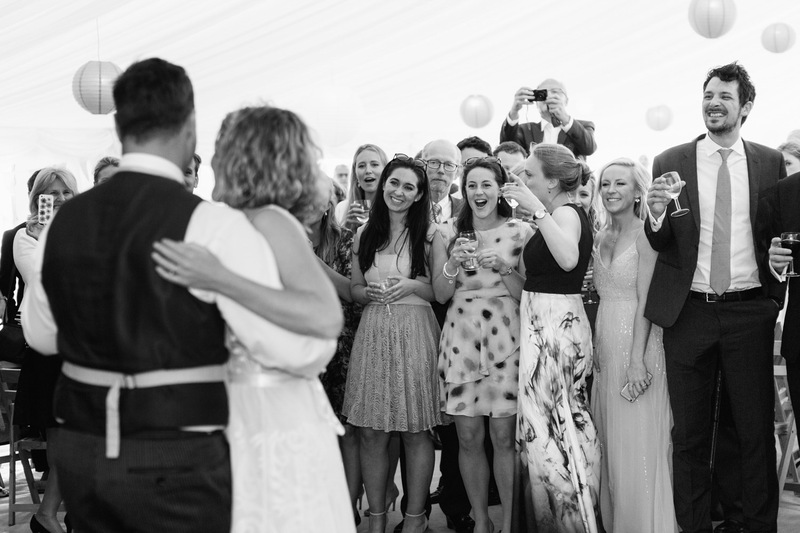 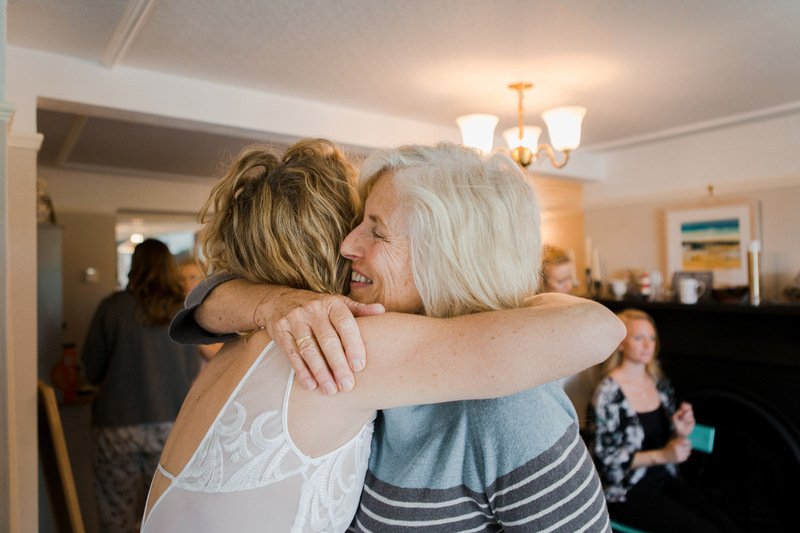 It was a real celebration of friends and family coming together!